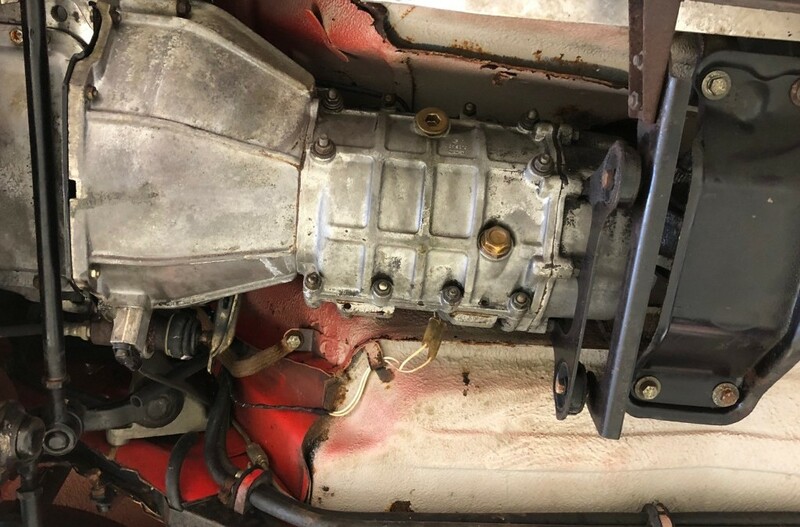 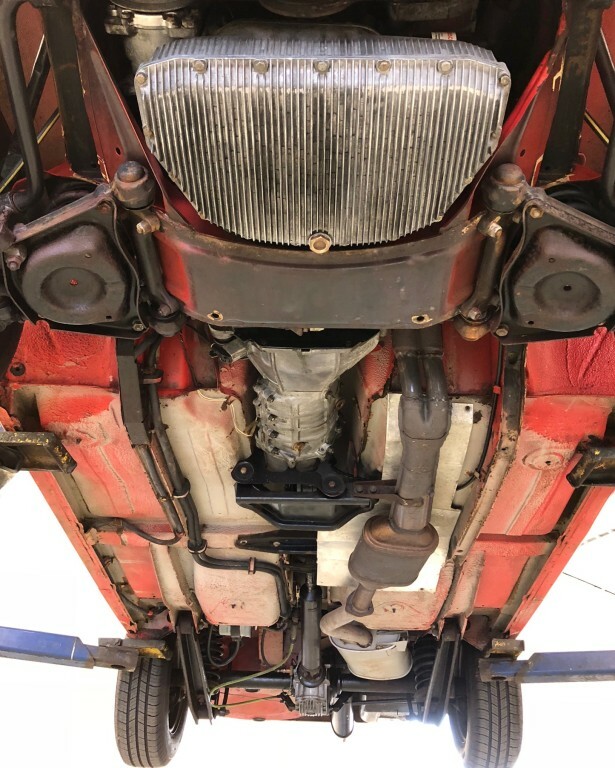 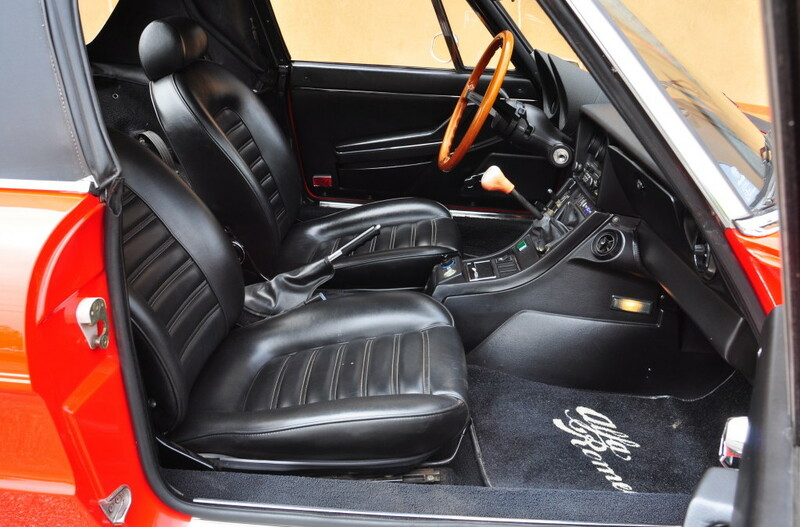 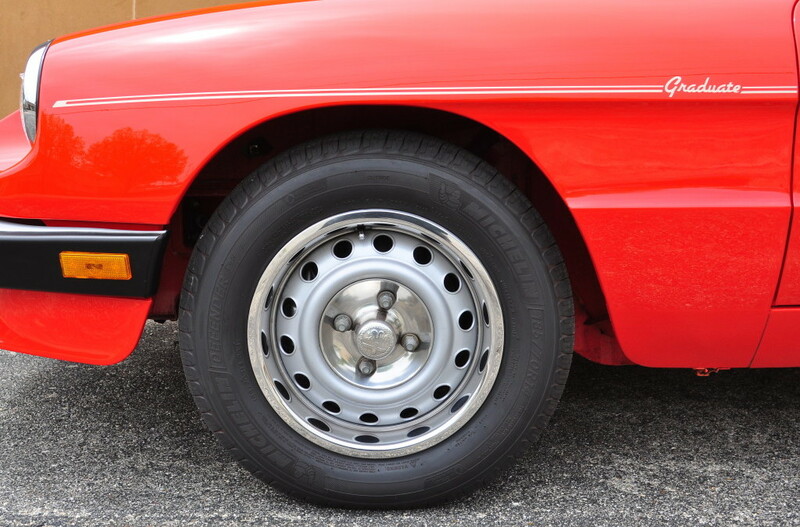 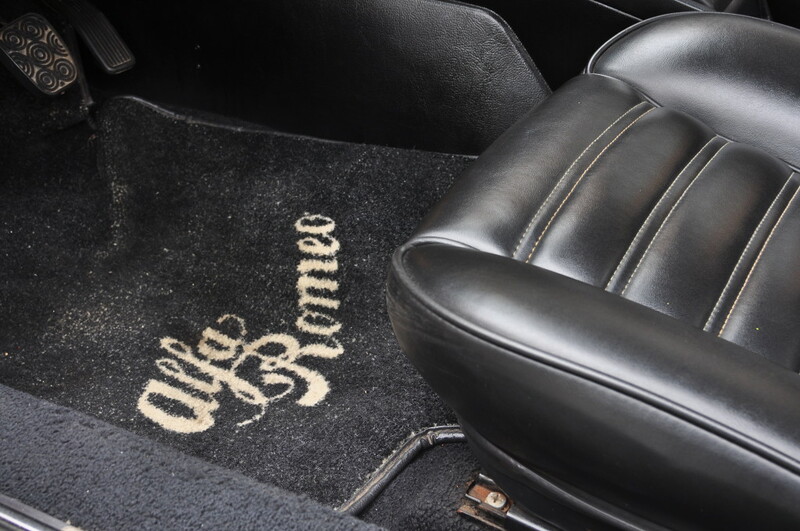 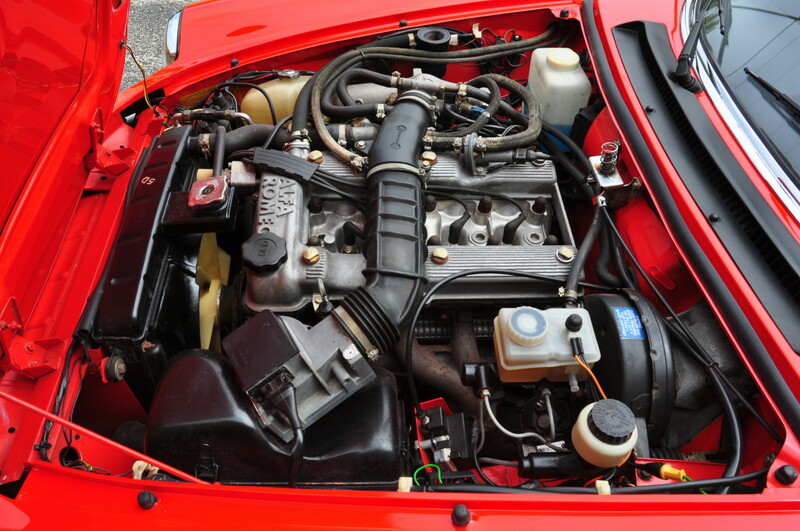 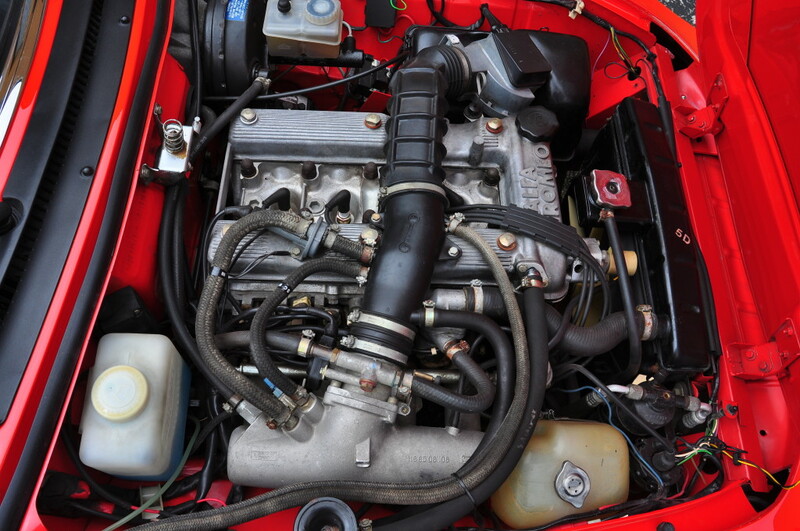 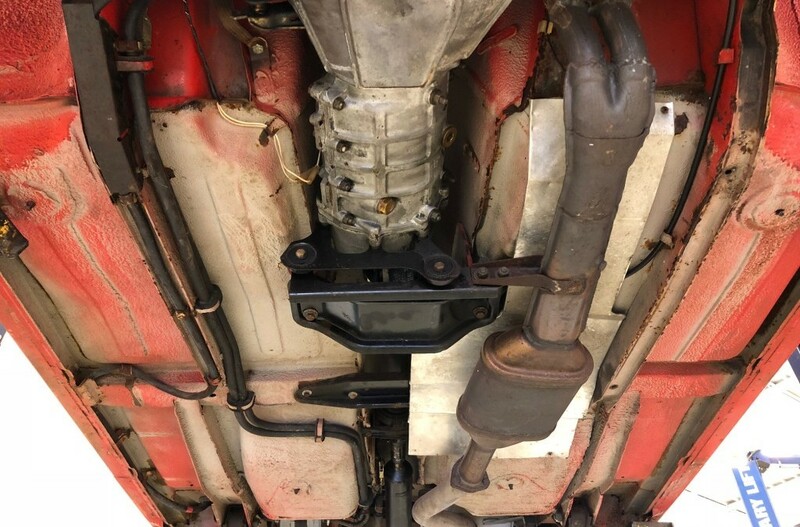 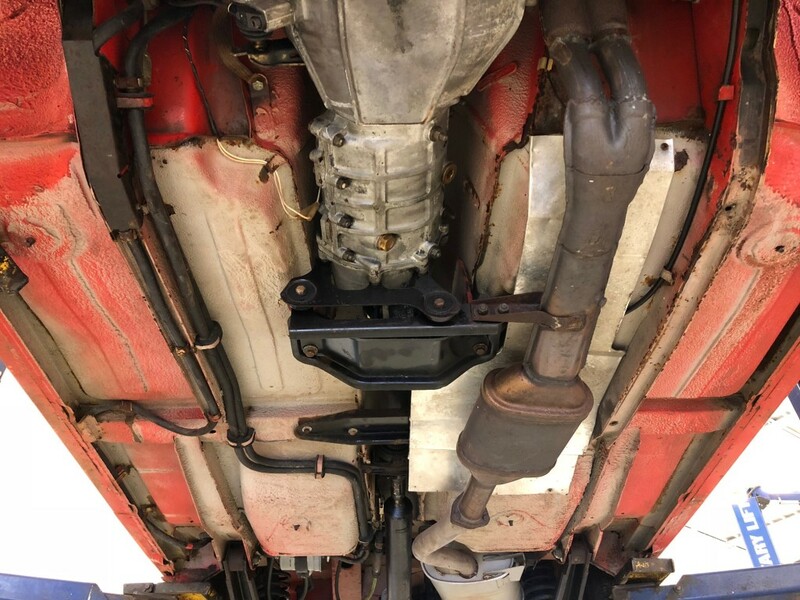 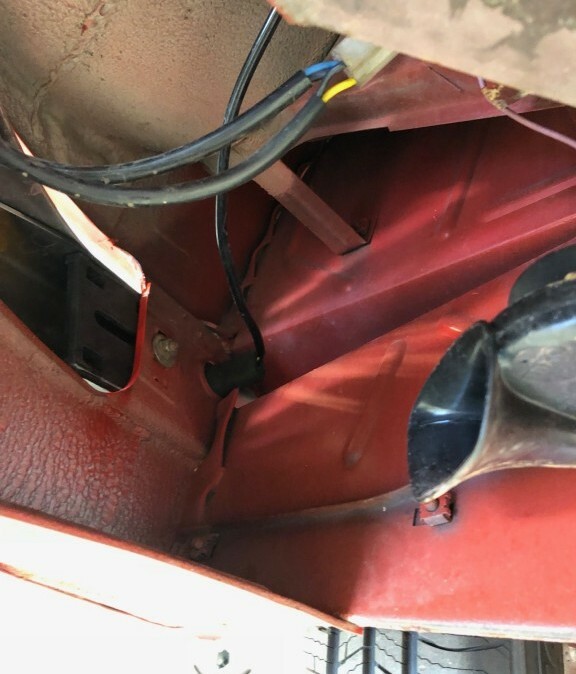 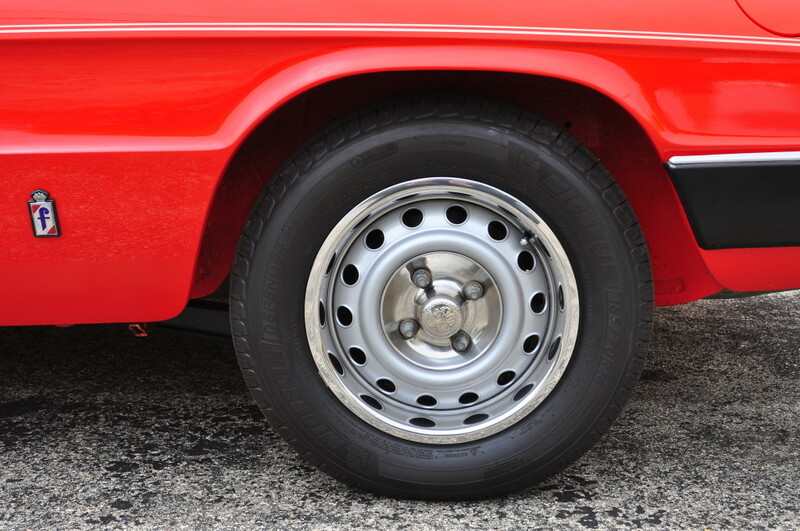 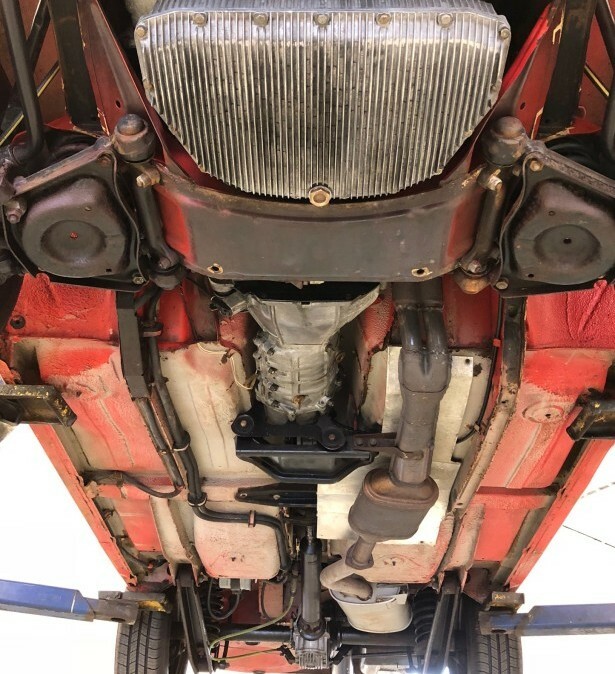 This 1985 Alfa Romeo Graduate is an amazingly well preserved, 19,000 mile, one-owner time capsule. 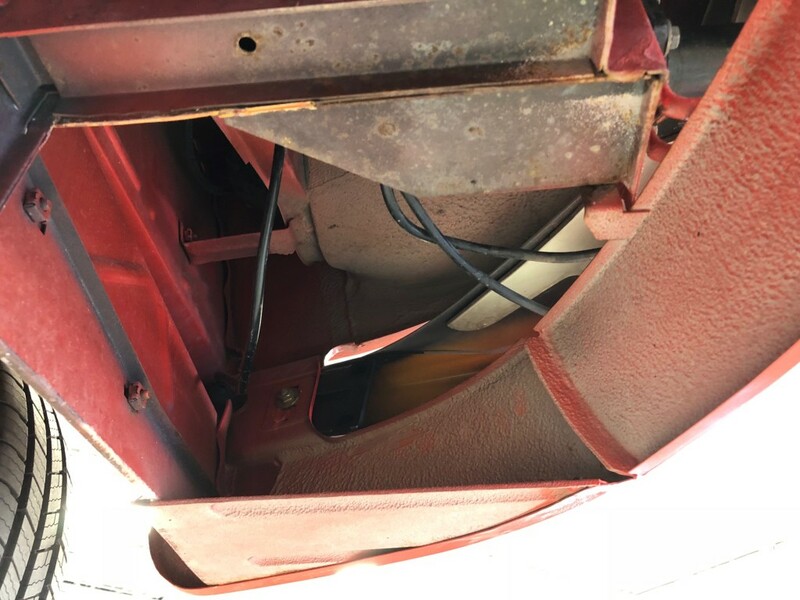 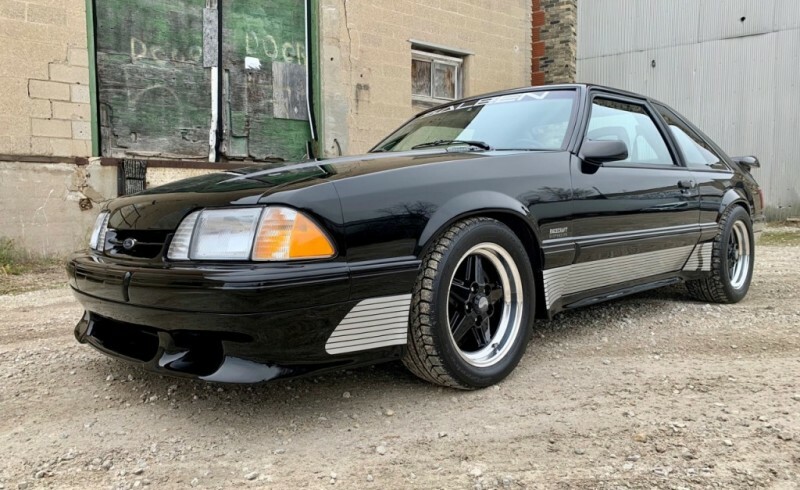 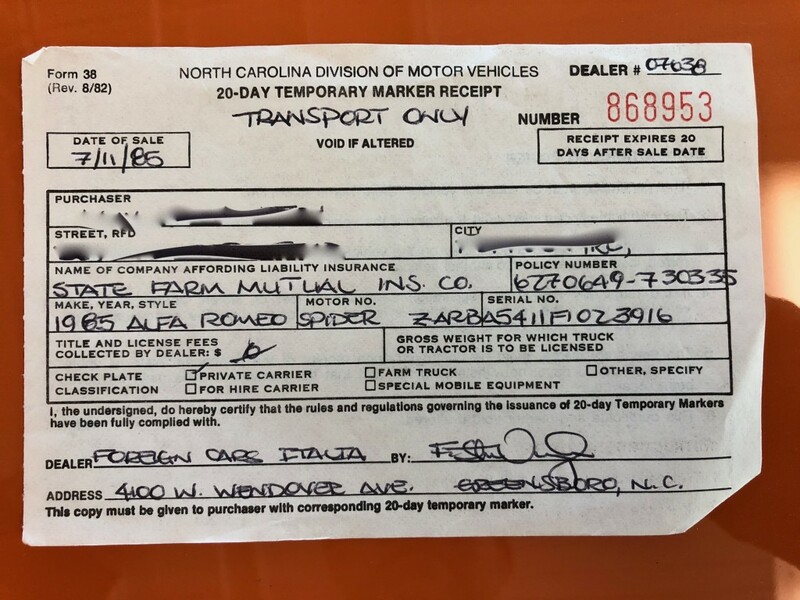 Sold new in Greensboro, North Carolina on July 5, 1985, it has led a charmed life as the nice weather vehicle of choice for the last 33 years under the care of its sole owner. 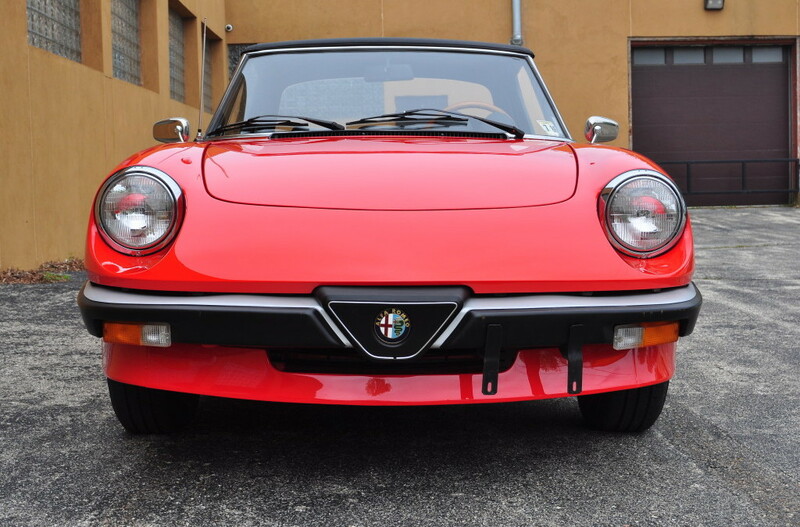 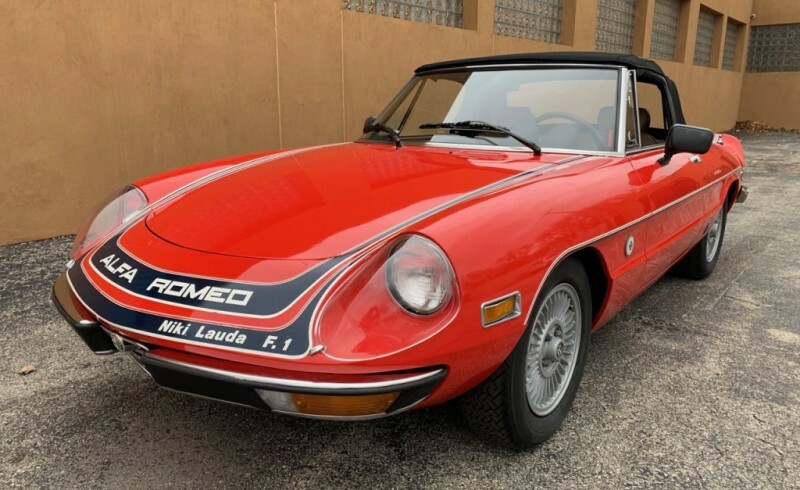 As a result its exemplary condition is by far the exception rather than the rule among S3 (third generation) Alfa Spiders, since most remaining examples of these cheerful cars have led a life that was anything but! 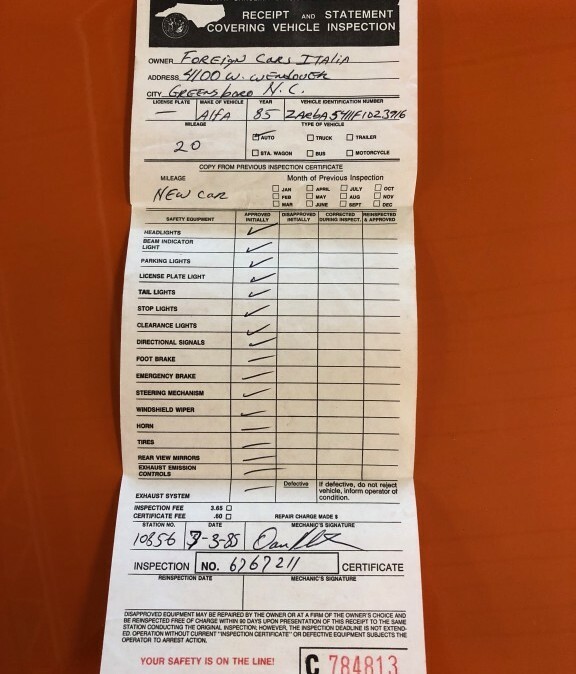 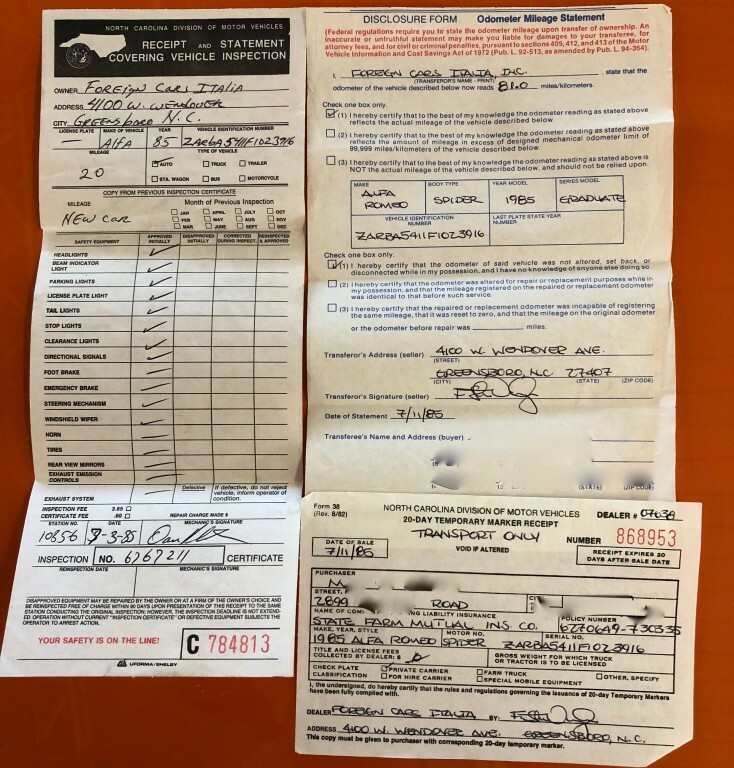 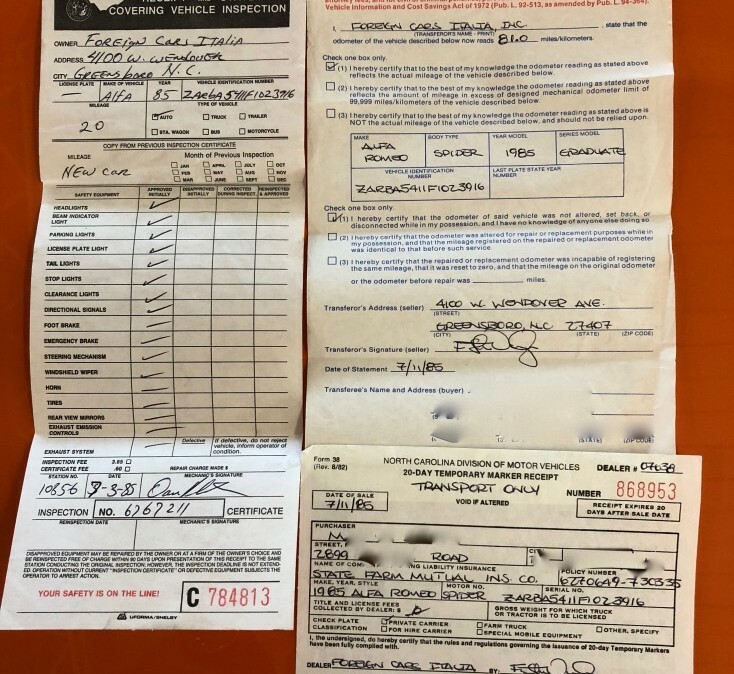 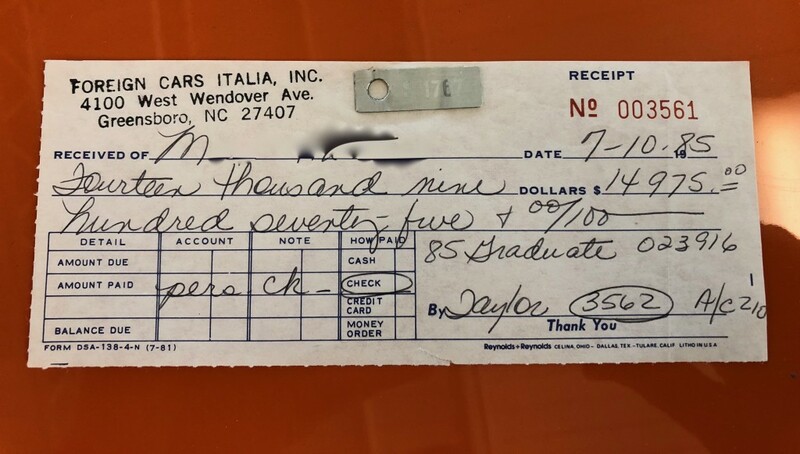 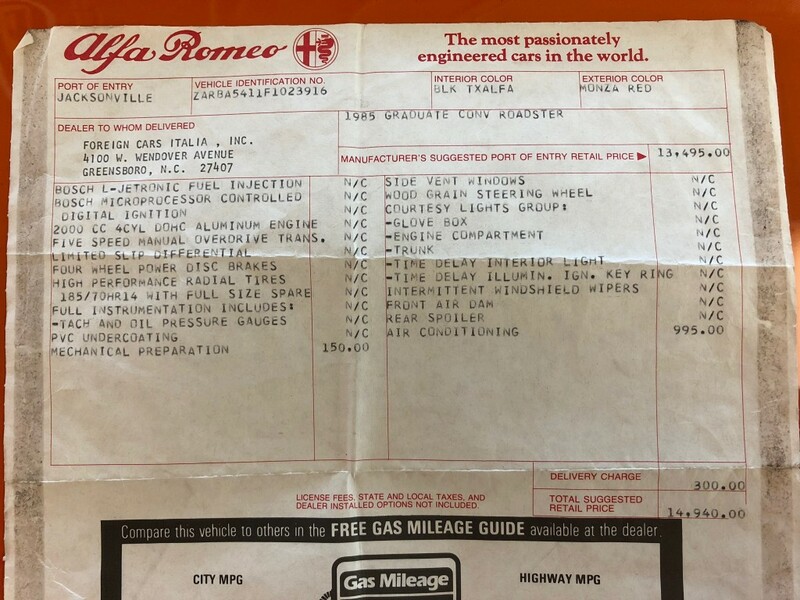 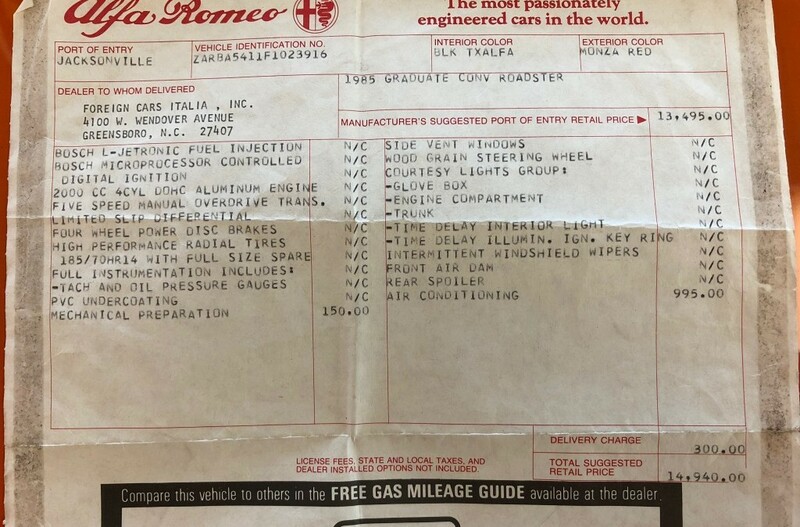 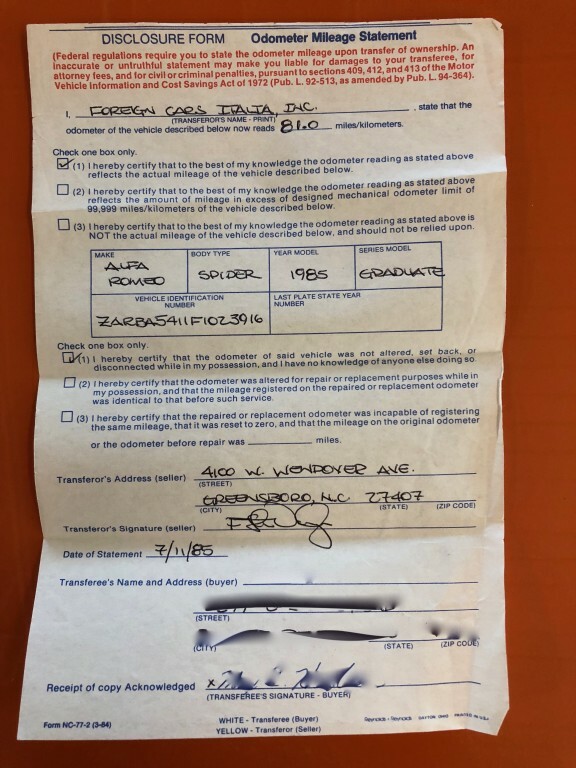 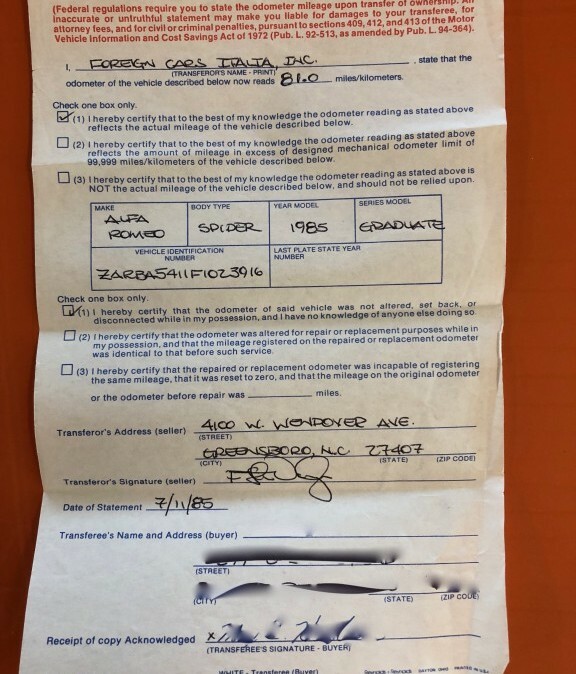 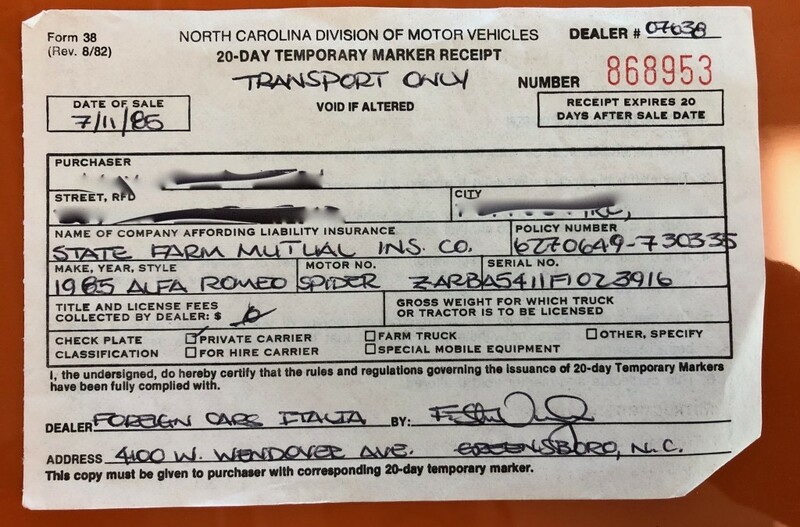 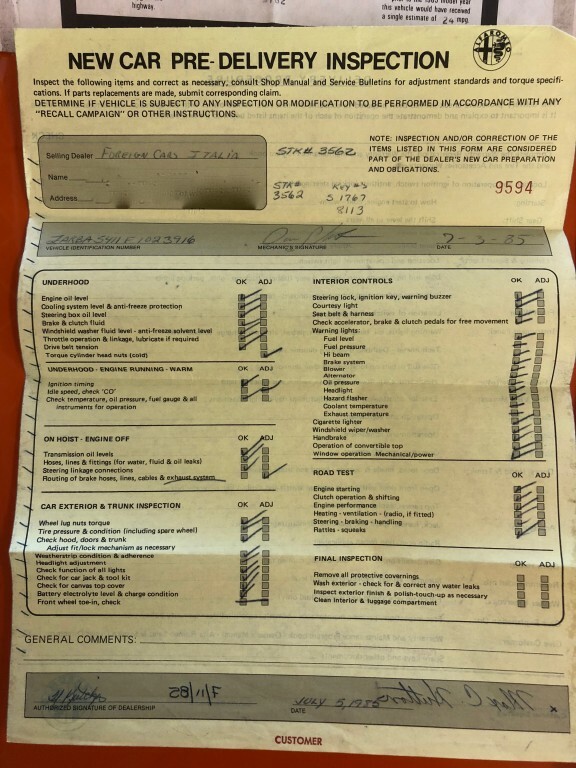 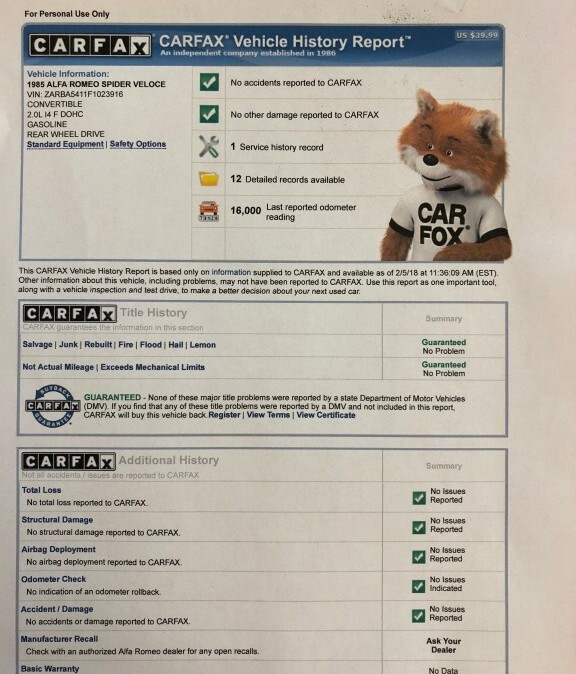 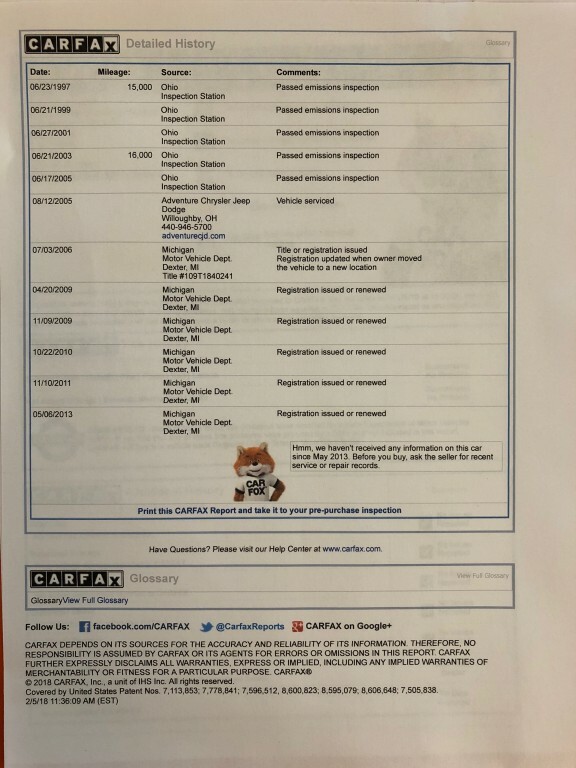 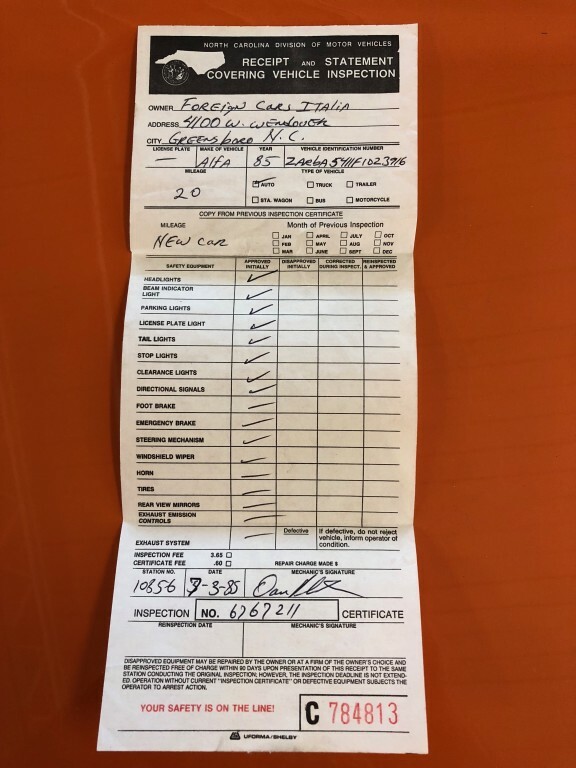 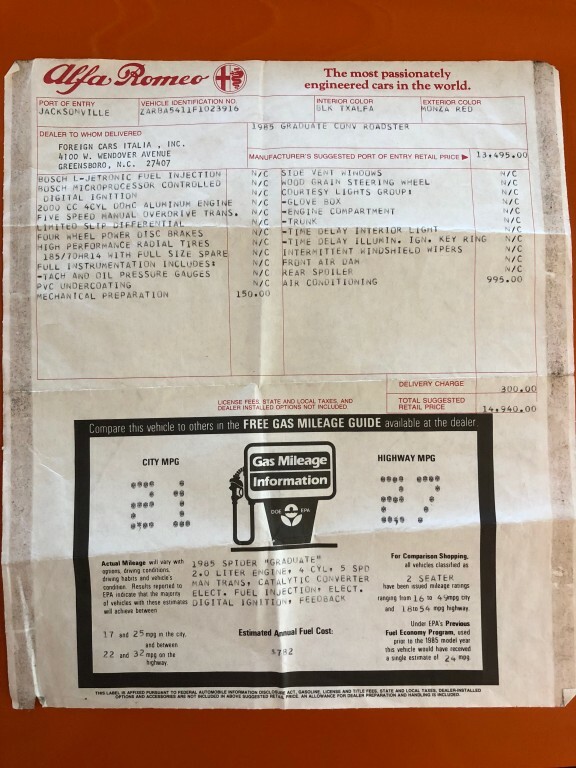 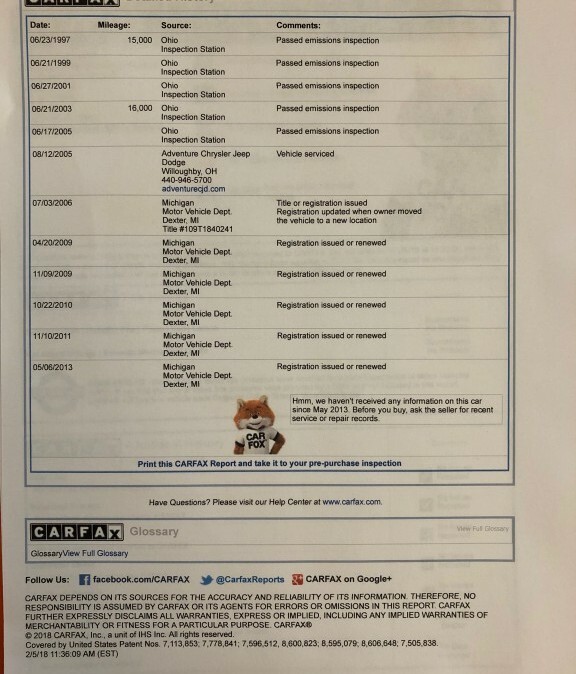 As you’d expect for a low-mileage car coming from its original owner this Graduate also retains its original window sticker, Alfa Romeo Pre-Delivery Inspection Form, North Carolina DMV Inspection Receipt, Odometer Mileage Statement, Transport Receipt and even the receipt from the original check used to purchase the car in 1985. 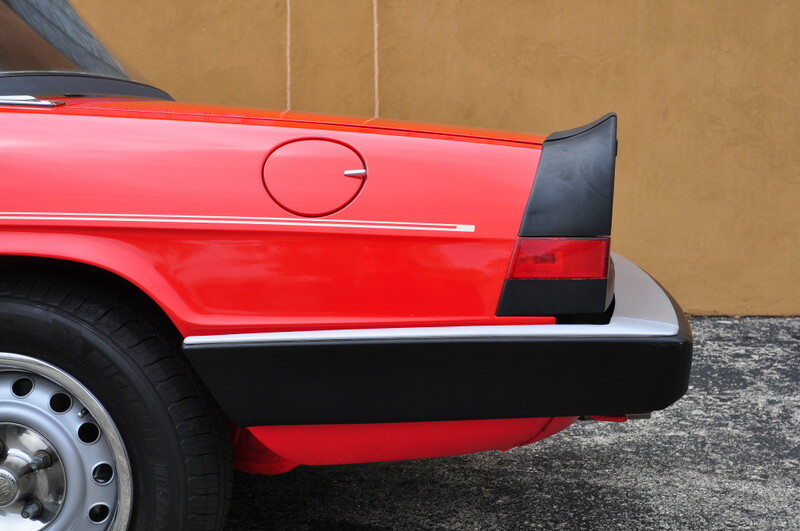 A little historical perspective: First released in 1985, the Alfa Romeo Graduate was part of the third iteration of the iconic Alfa Romeo Spider. 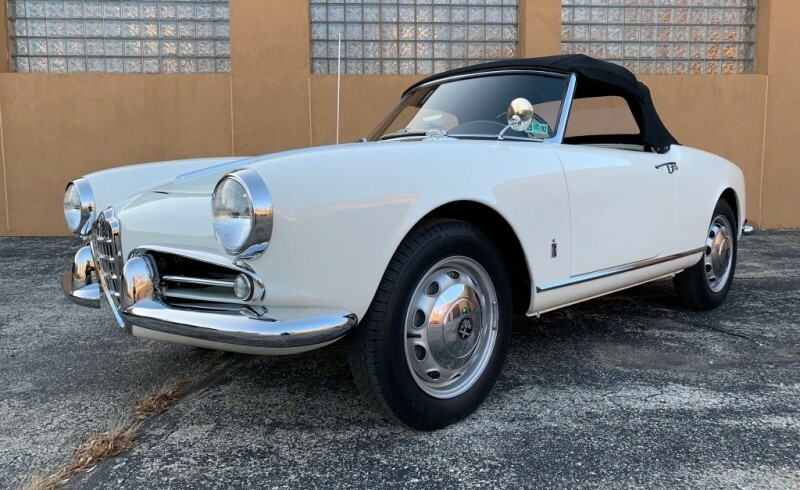 When introduced, the Graduate was the entry-level, and most “pure” example Alfa could create to pays homage to the 1967 film, “The Graduate,” where a debonair young man (Dustin Hoffman) is exposed to the realities of the world, much from behind the wheel of his Alfa Duetto Spider. 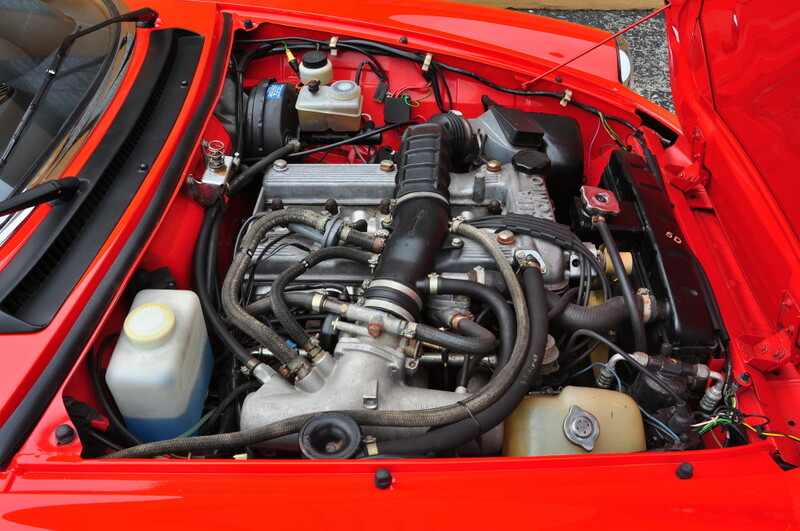 Of course, while much of the bones of the S3 Spiders are the same as those of the Duetto used in the film such realities of life will be much more reliably faced in this car thanks to Bosch electronic fuel injection and other modern technology that the intervening two decades offered. 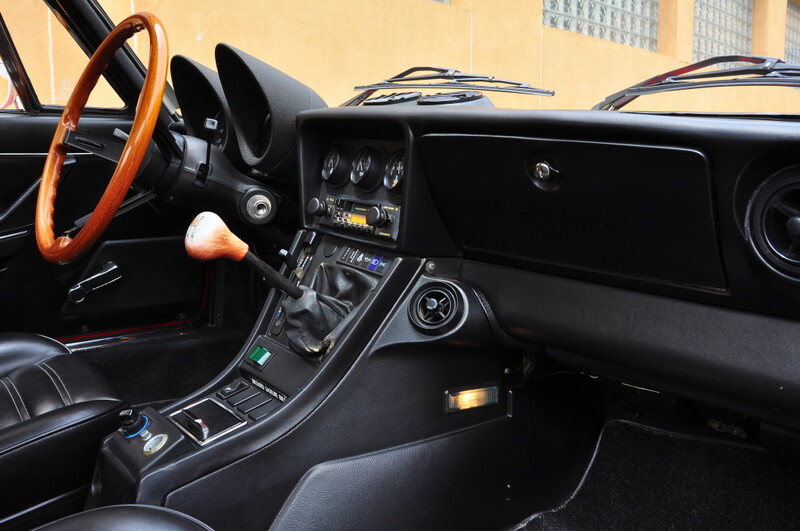 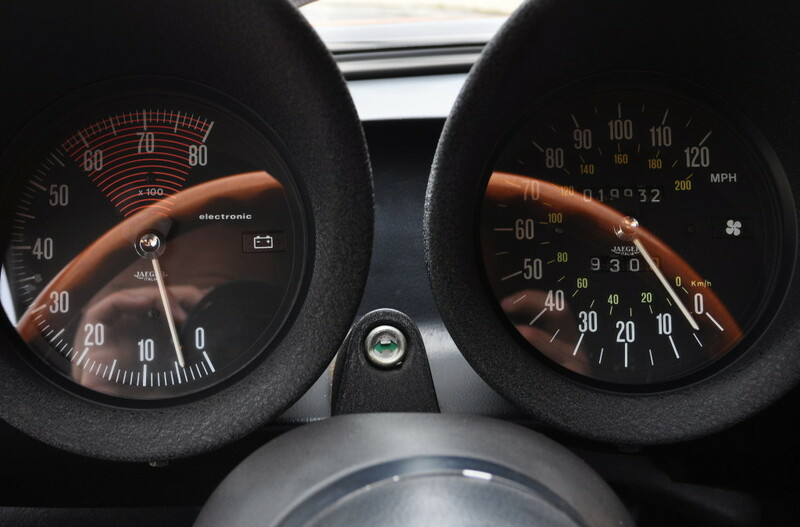 The other advantage to the 1985 model year in particular is that it combines the final year of the classic twin-pod gauge cluster, chrome outside mirrors, and other earlier details but has the aforementioned Bosch FI and electronic engine management, variable cam timing, and all the other mechanical advancements that were so good they remained unchanged through the end of S4 Spider production in 1994. 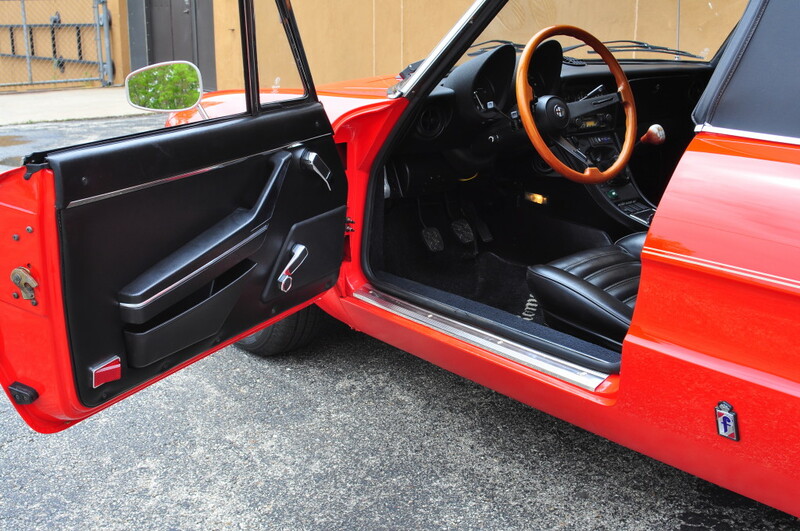 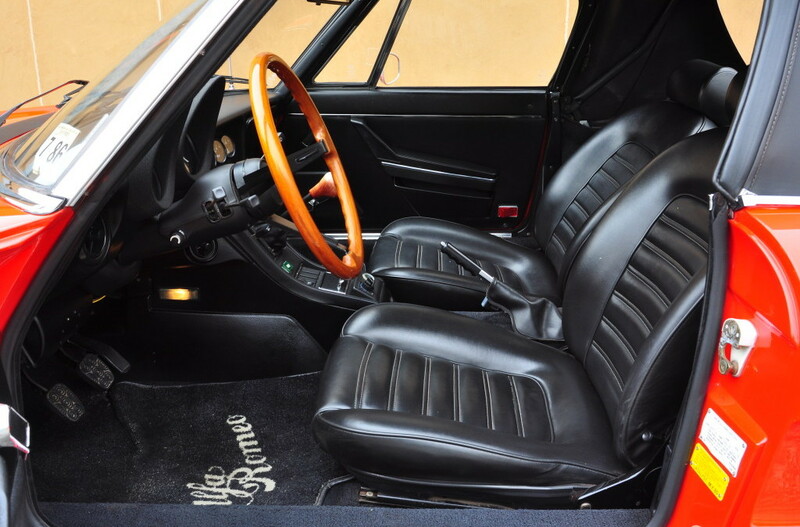 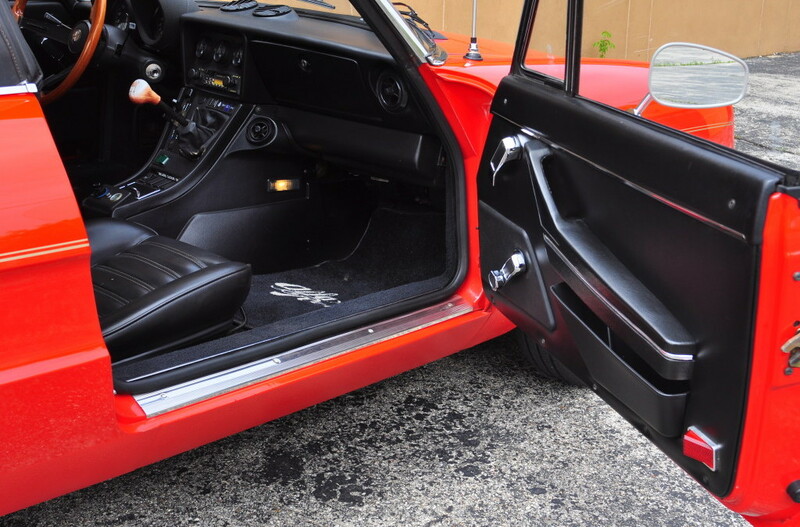 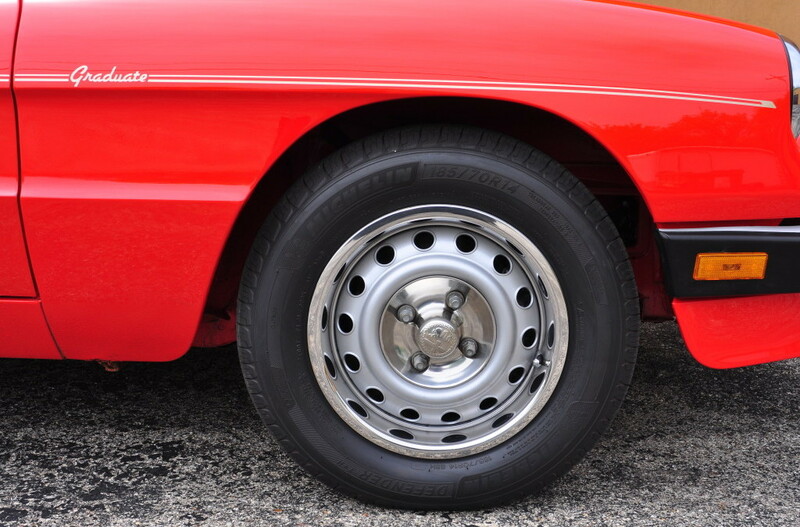 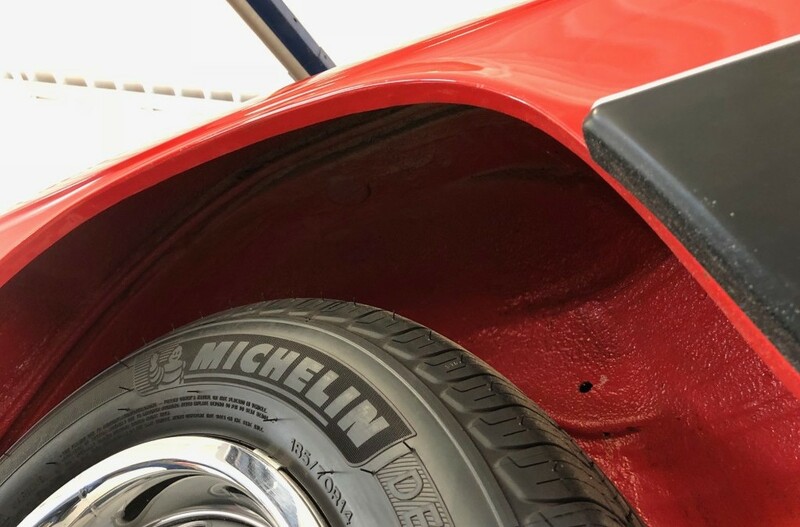 The Graduate offers other vintage details that appeal to me as well, including “crank” windows rather than the troublesome power ones of Veloce and Quadrifoglio models, a lack of tack-on body cladding, and traditional Alfa steel wheels. 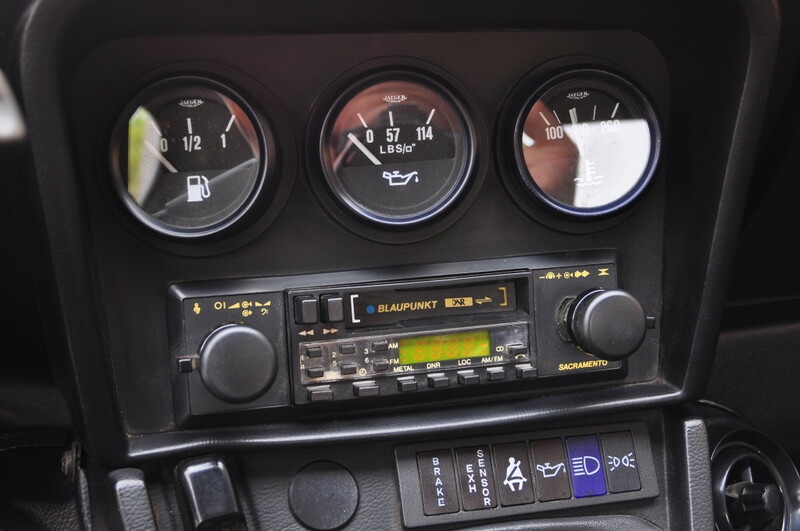 As the lightest and most pure example of the S3 cars the 1985 Graduate does offer the best of both worlds in my opinion. 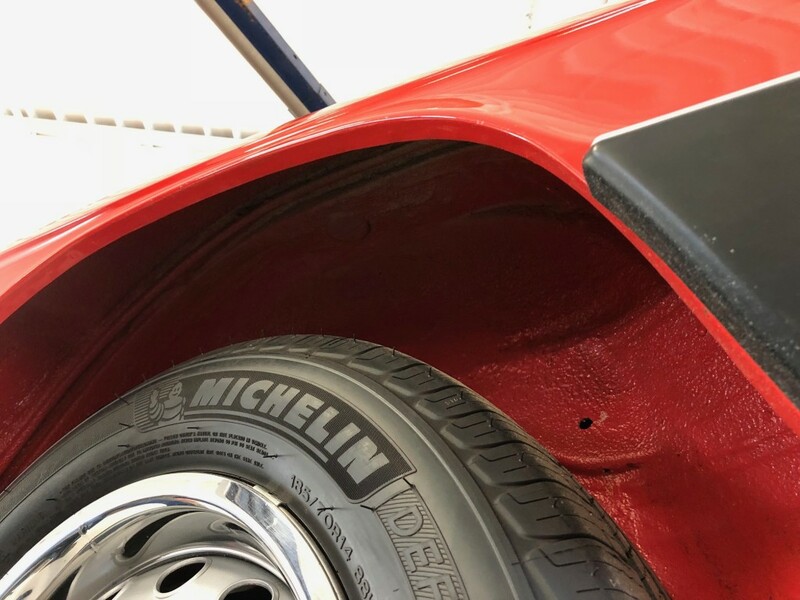 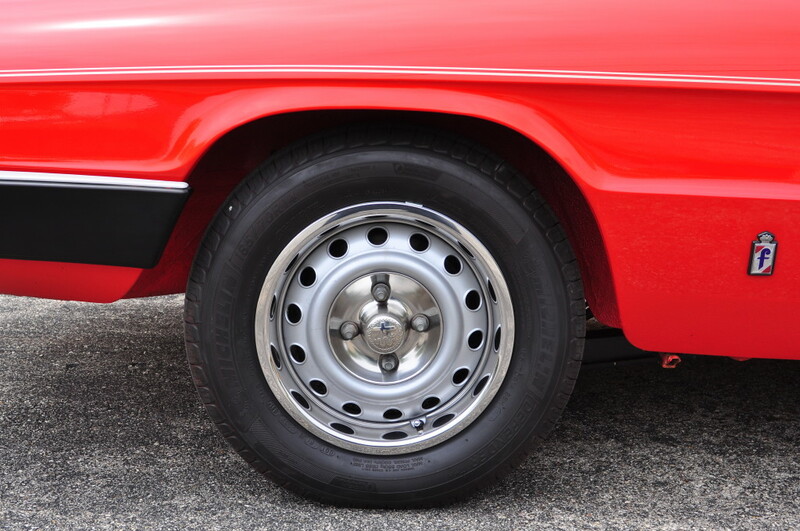 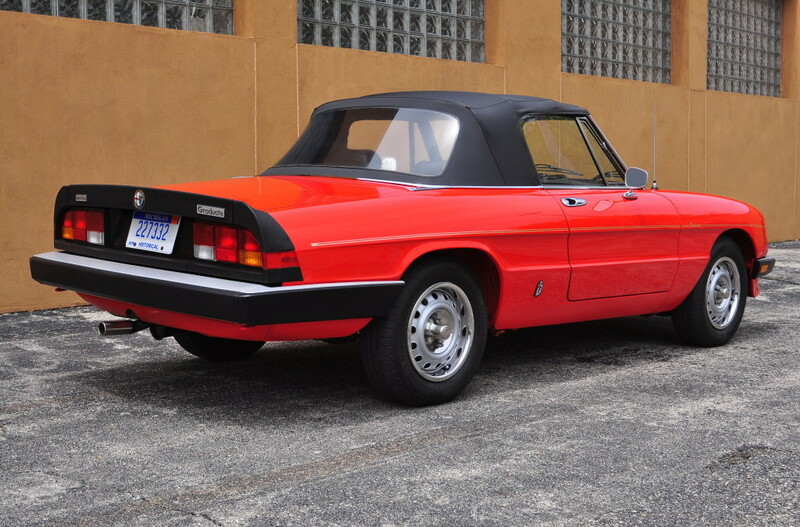 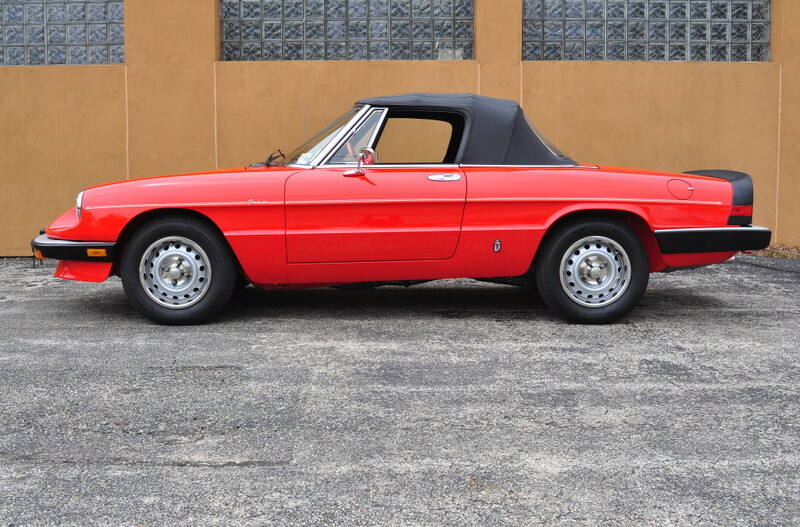 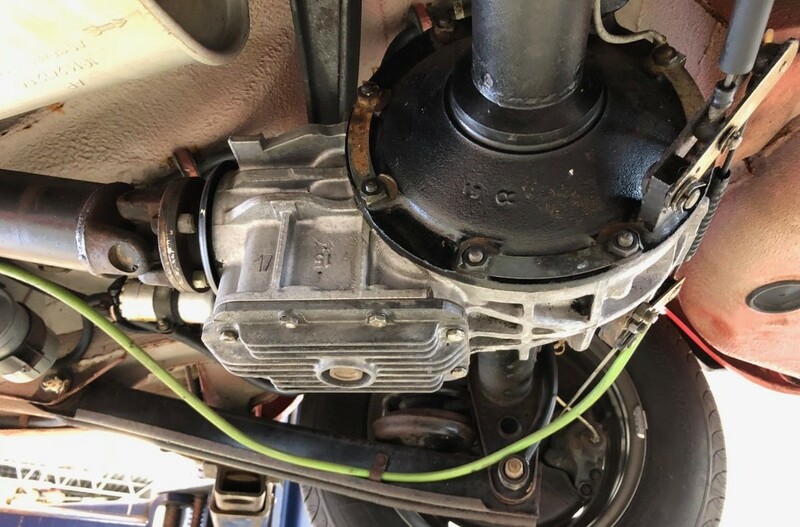 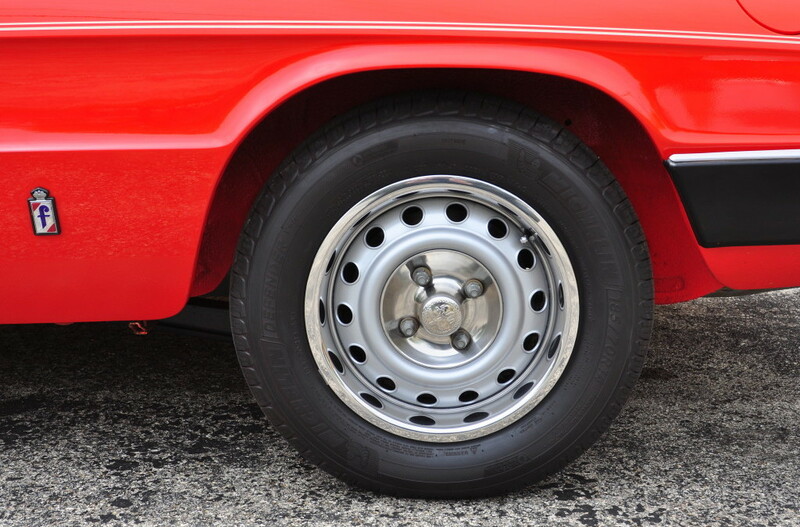 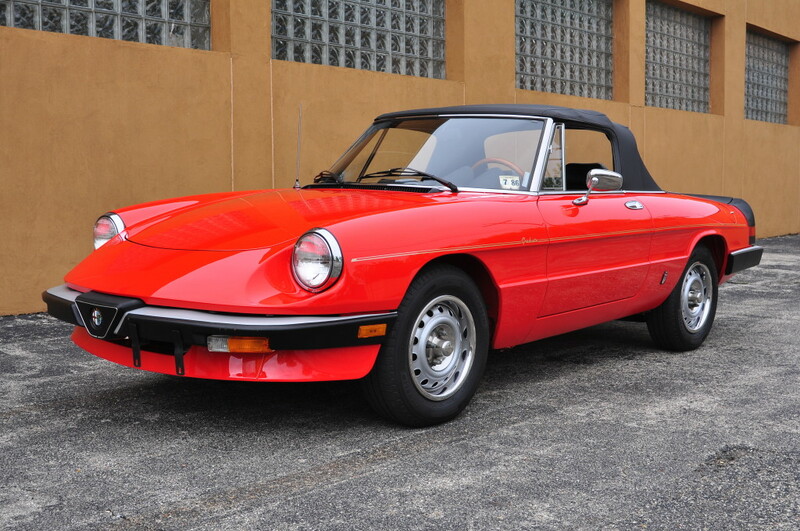 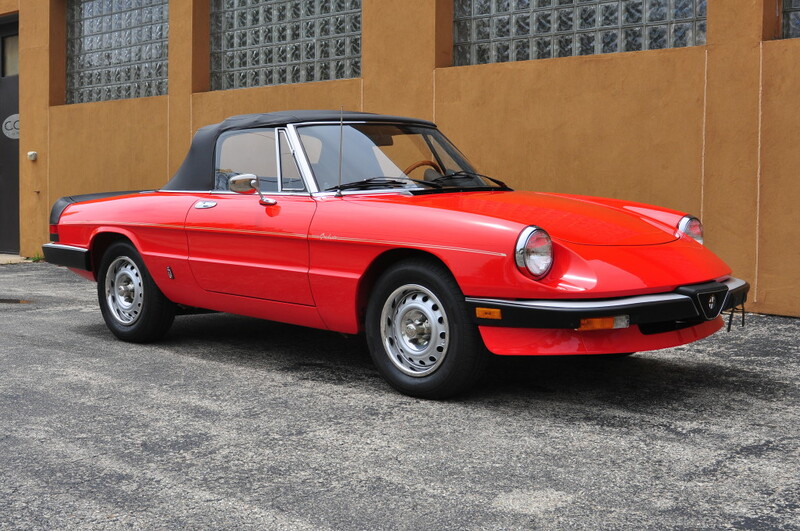 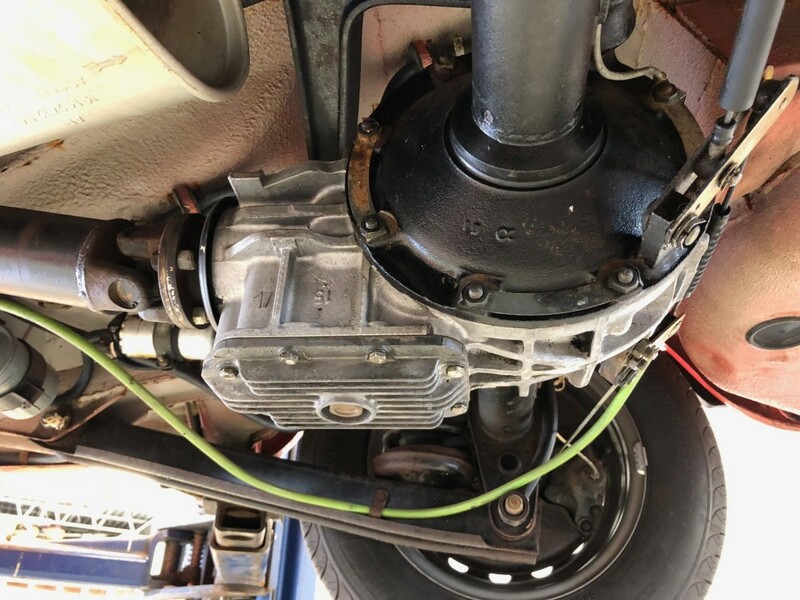 Also by 1985 all Spiders, including this one, featured power assist for the famed four-wheel disc brakes that have been a hallmark of 105/115 chassis Alfas since the 1960s. 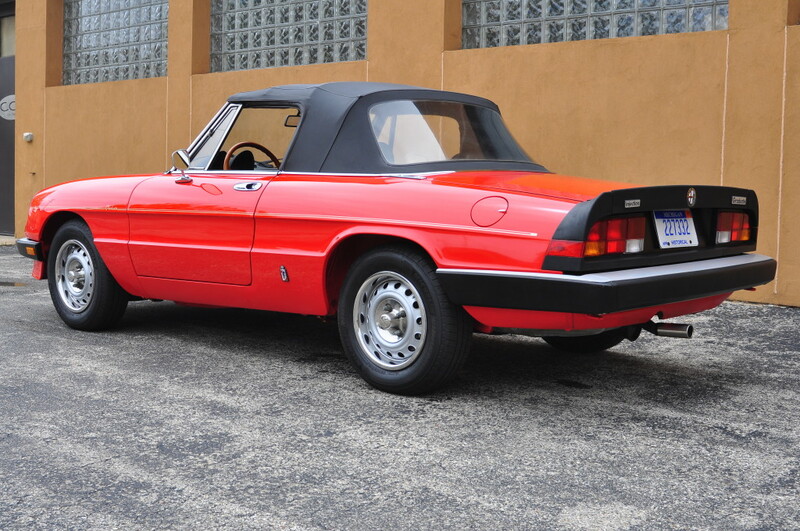 If you haven’t driven one of these you’re in for a real treat. Amazingly capable, but yet with a supple ride and fantastic steering and handling, there is a reason Alfa Spiders are such an icon and this particular chassis was in production for a staggering 28 years. 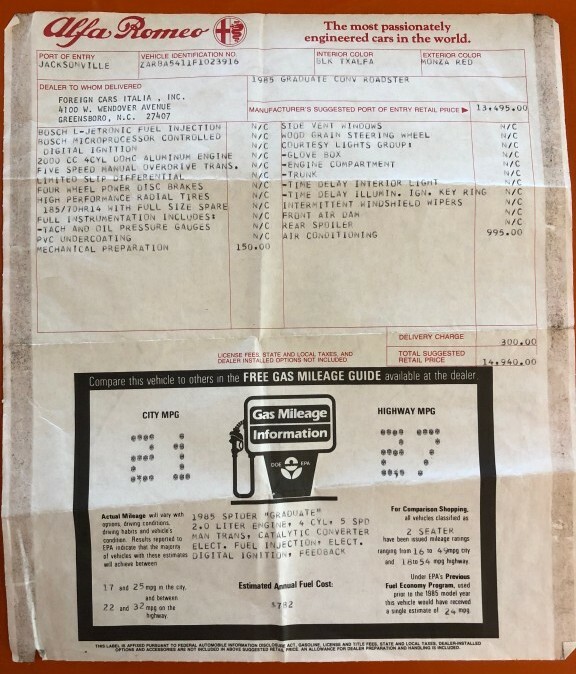 Can you imagine a platform surviving that long today? 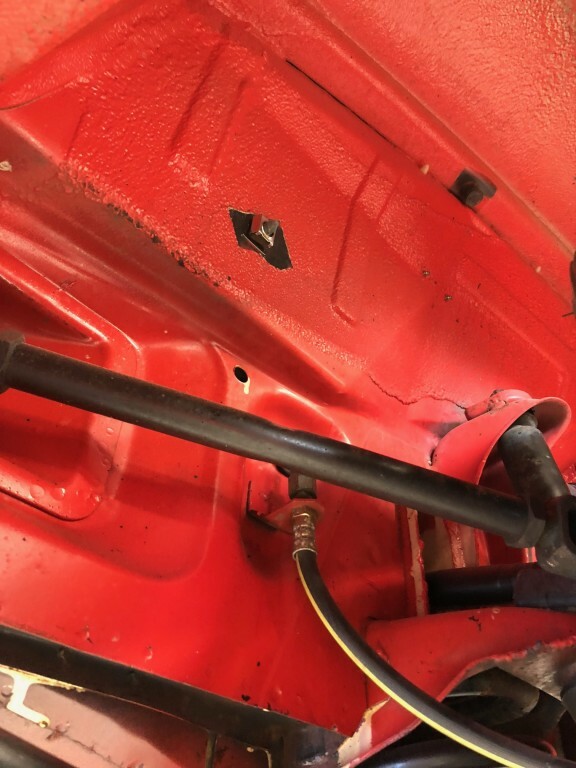 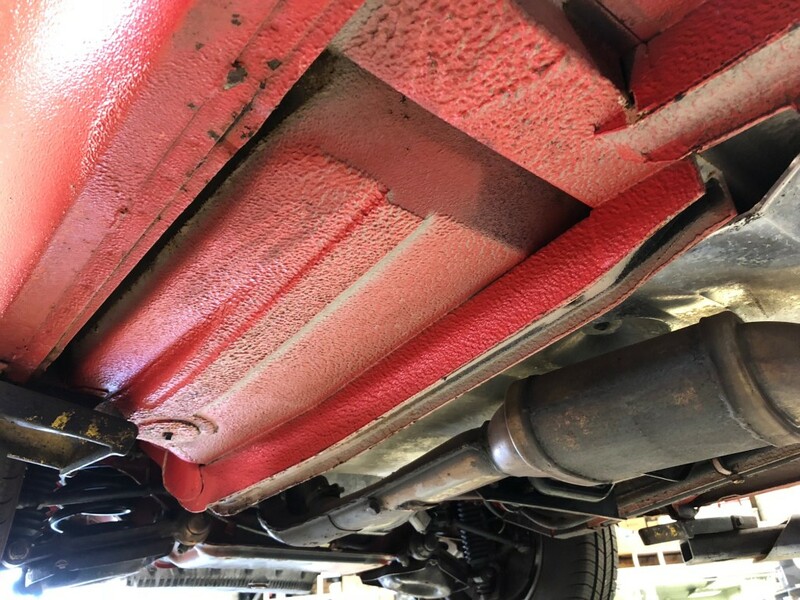 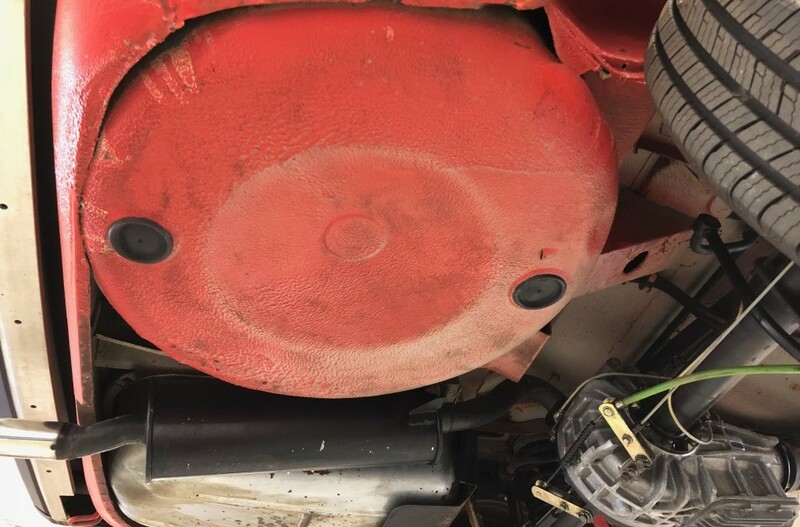 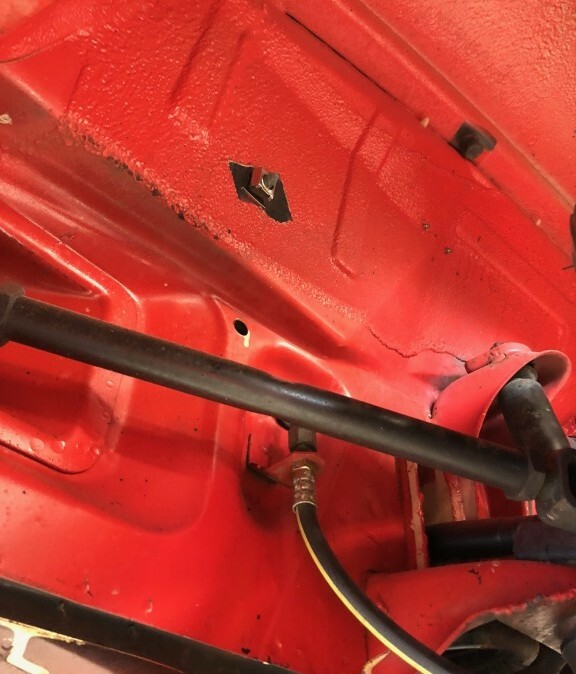 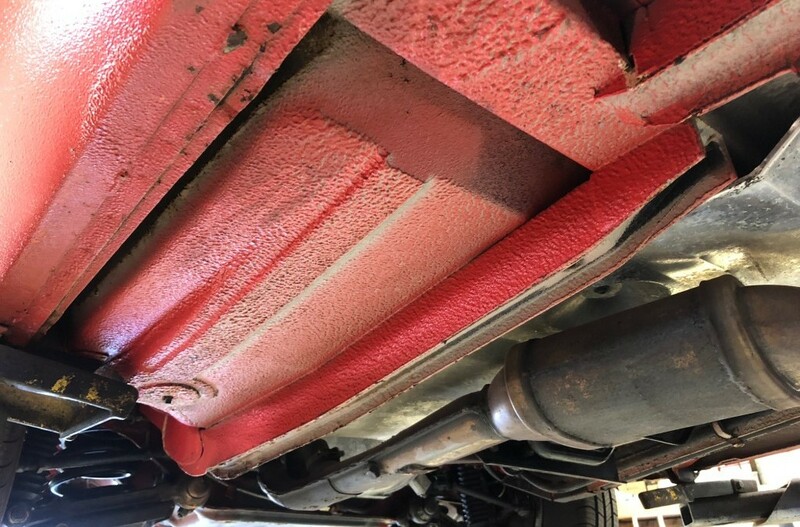 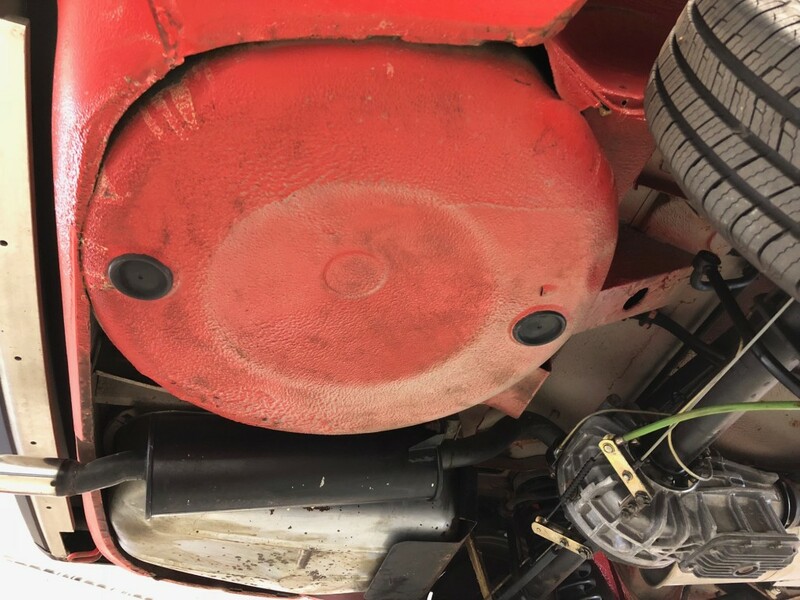 Anyway, as for the condition of this particular Graduate, again, it is everything you’d expect a cared for, 19,000 mile, always garaged example to be. 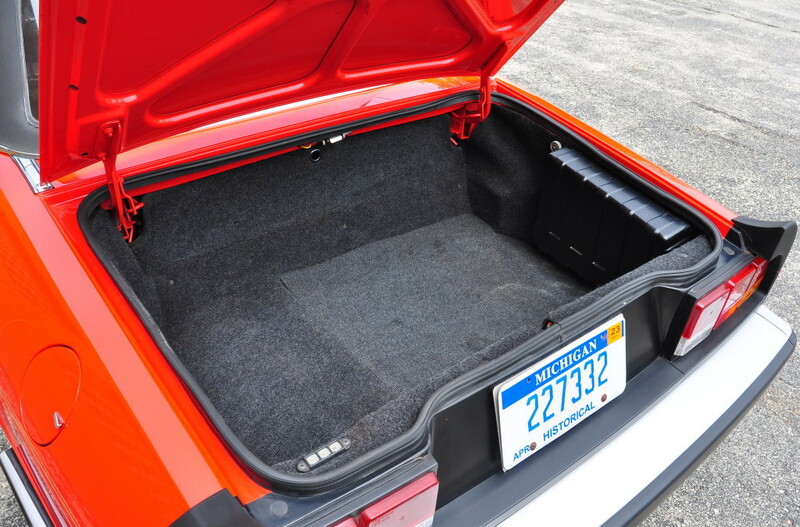 The exterior, interior, engine compartment, trunk, and even the chassis are as close to showroom new as you’ll find. 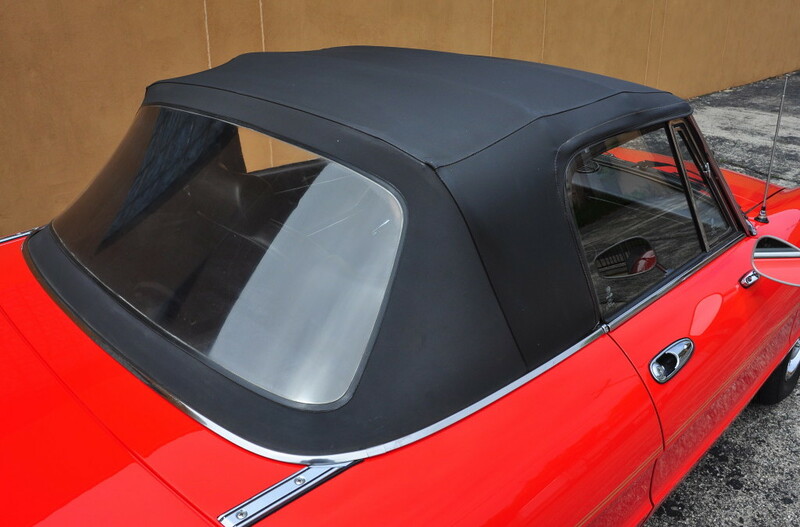 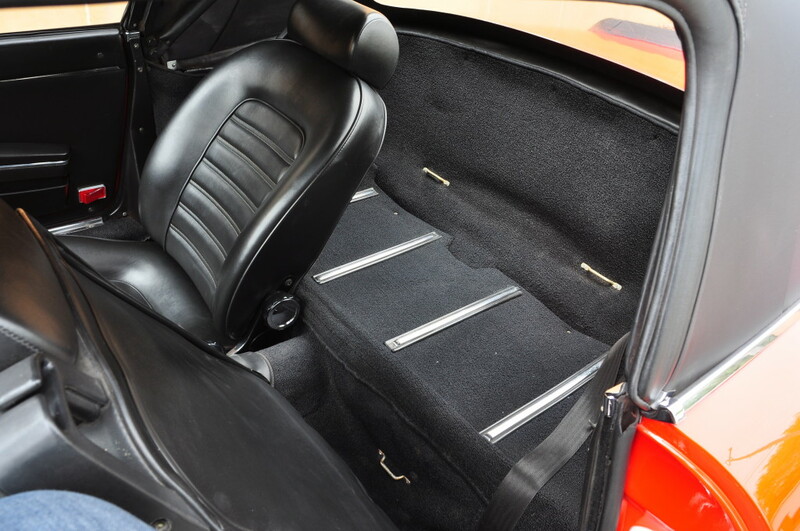 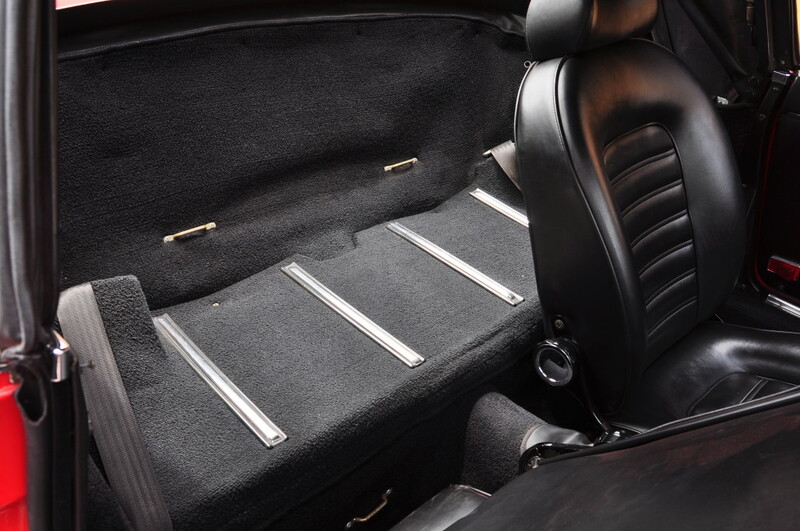 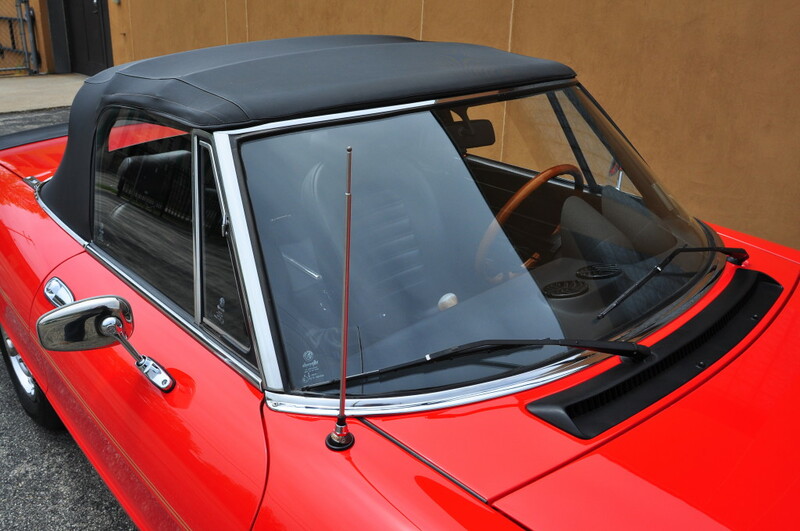 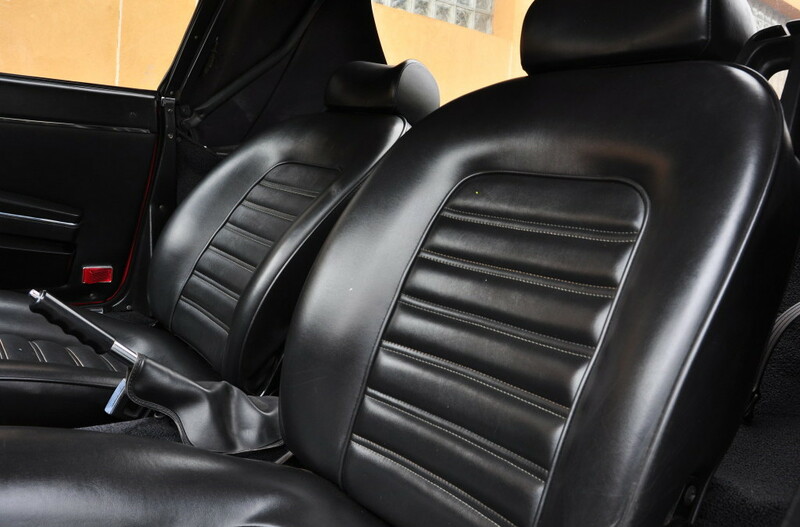 The car even retains its factory original convertible top and it is in excellent condition showing little use. 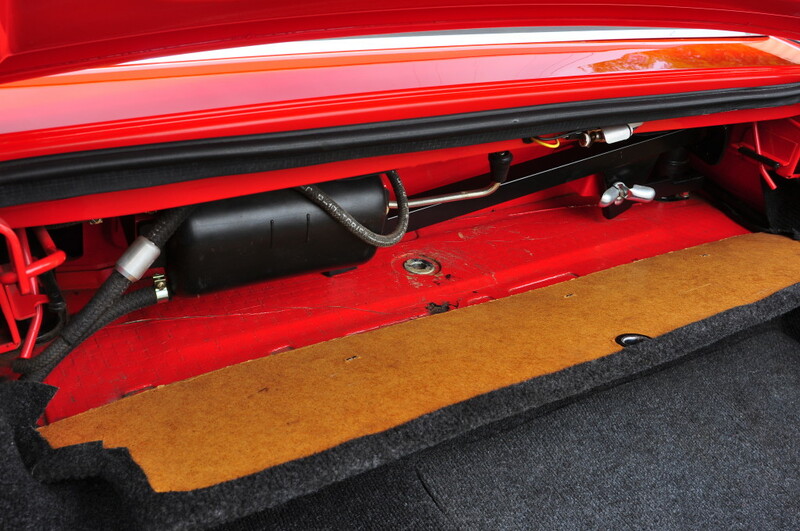 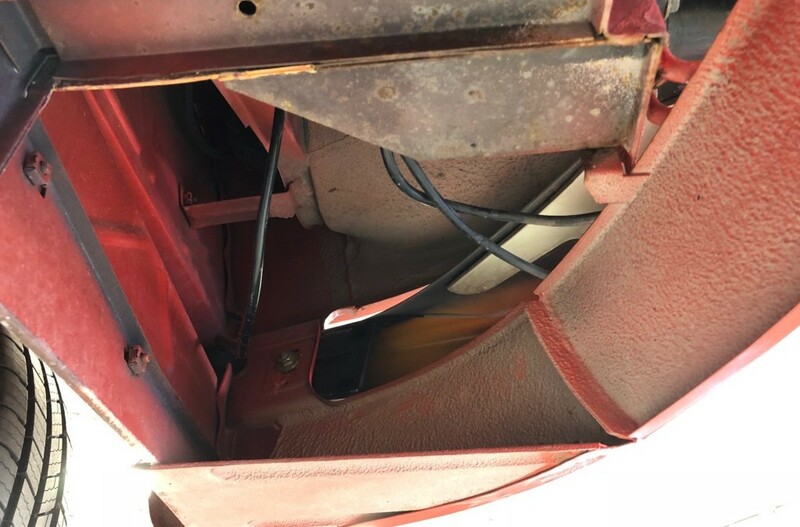 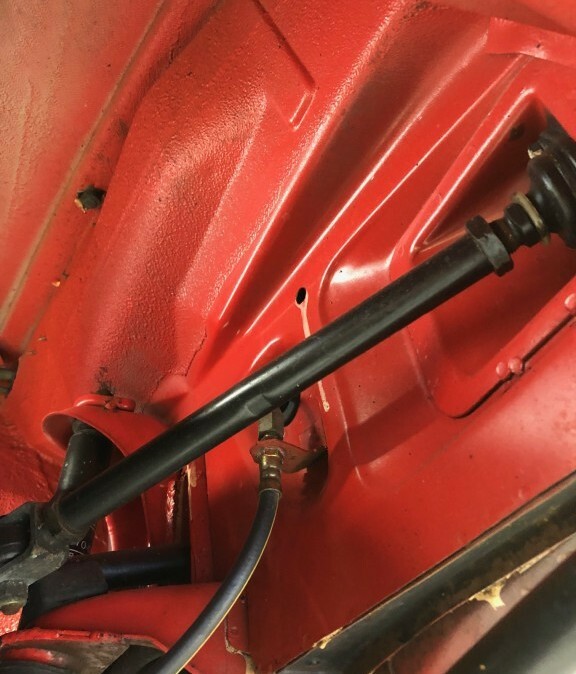 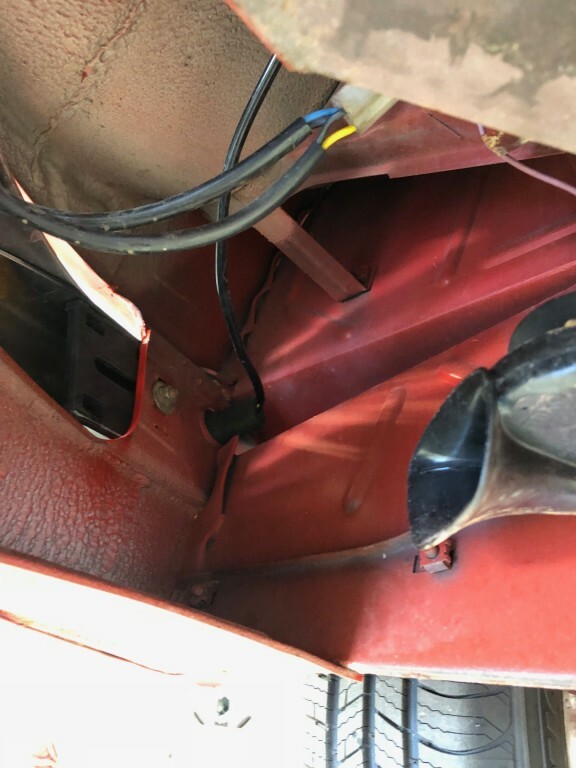 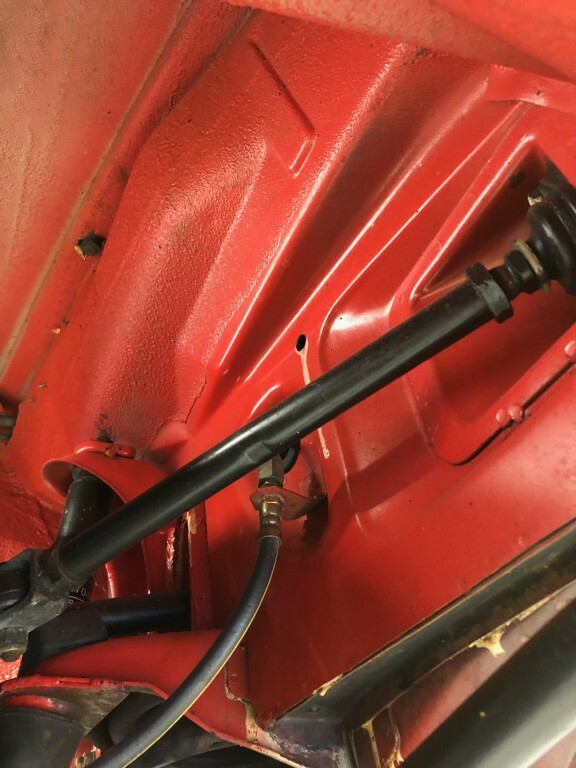 Also note the original factory installed exhaust system is still in place and in like-new condition. 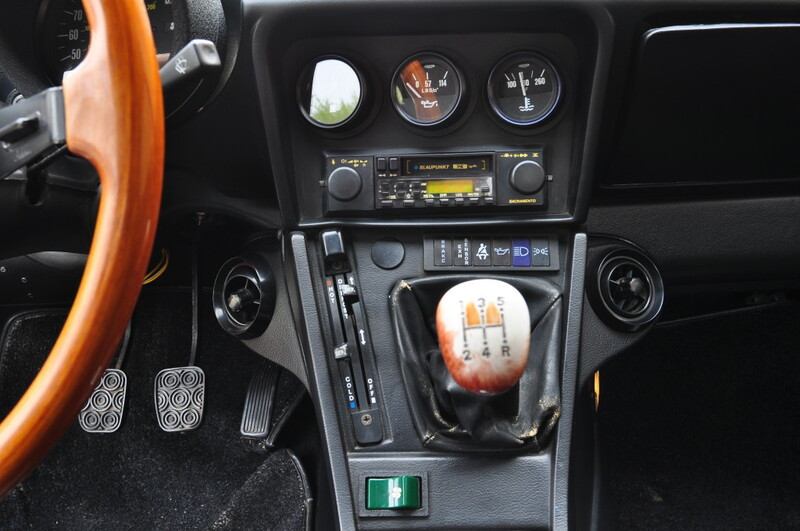 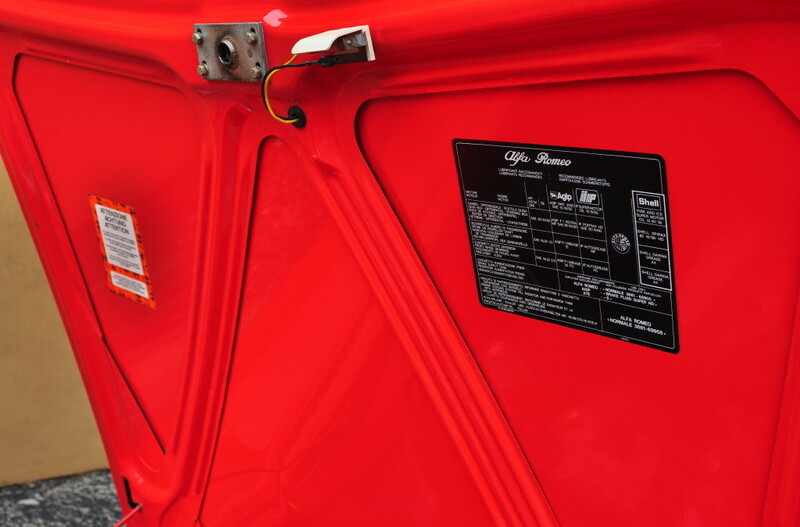 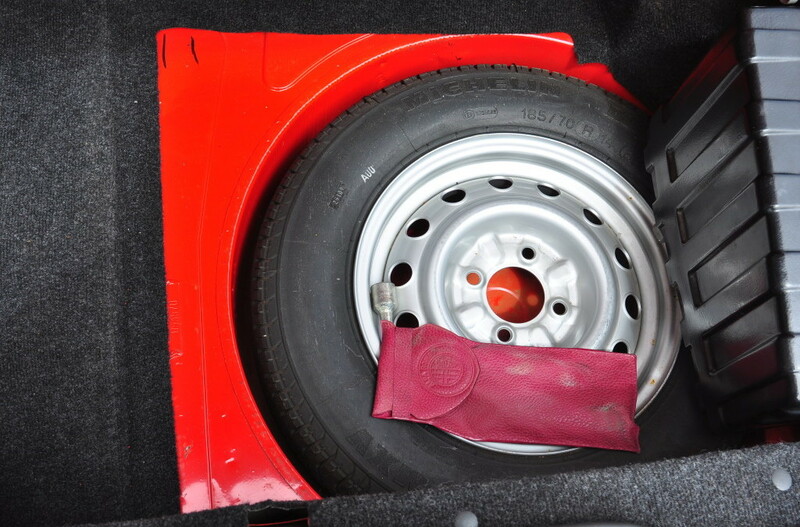 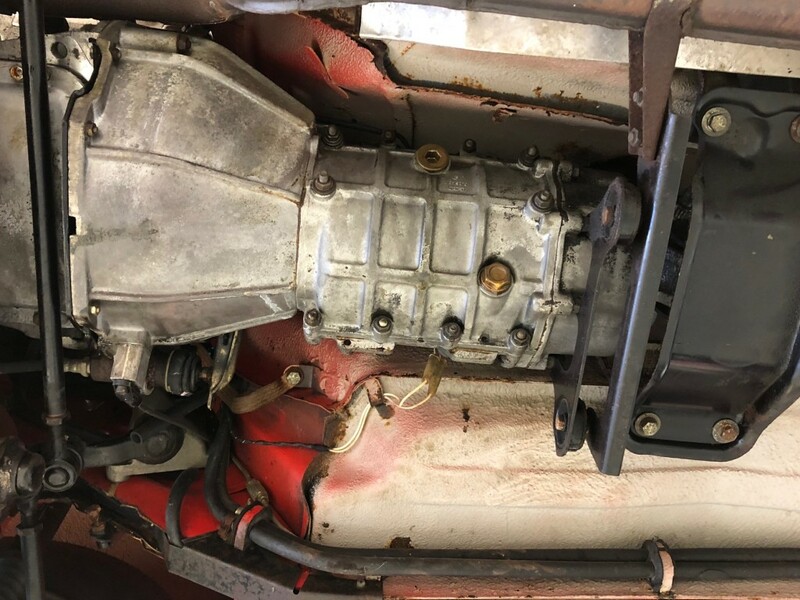 When was the last time you saw that on a 33 year old Italian sports car? 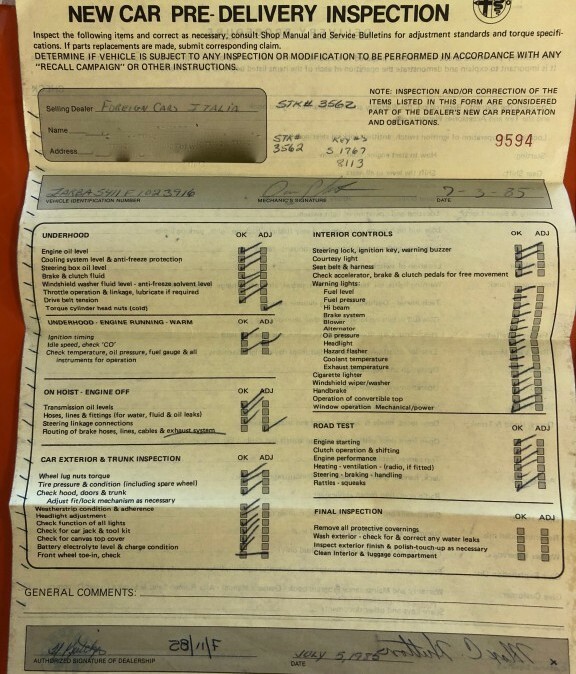 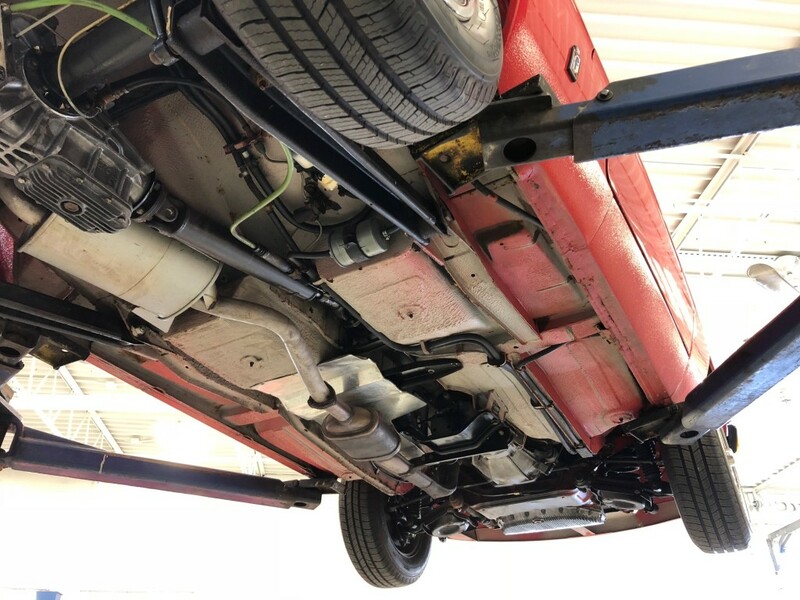 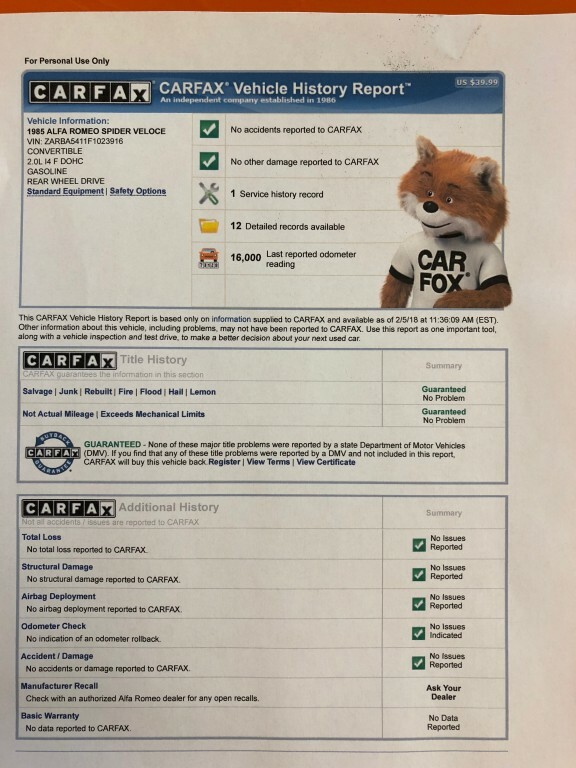 Upon my purchase of the car from Deborah, the original owner, I treated it to a full service in my shop. 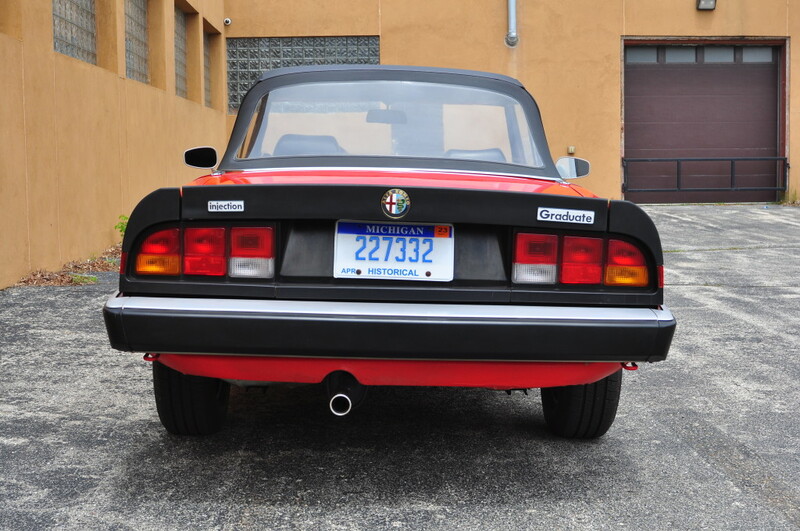 For a little background I am a 30 year Alfa Romeo Owner’s Club member and also served as a Technical Advisor for AROC for a number of years so I know my way around these cars pretty well. 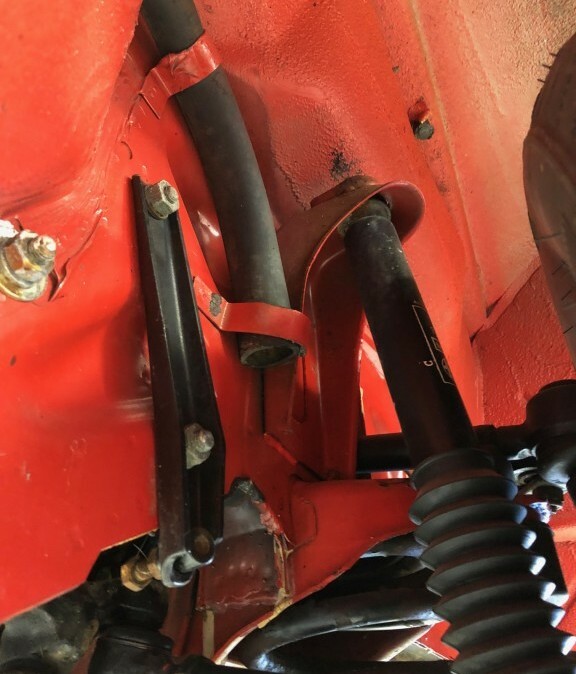 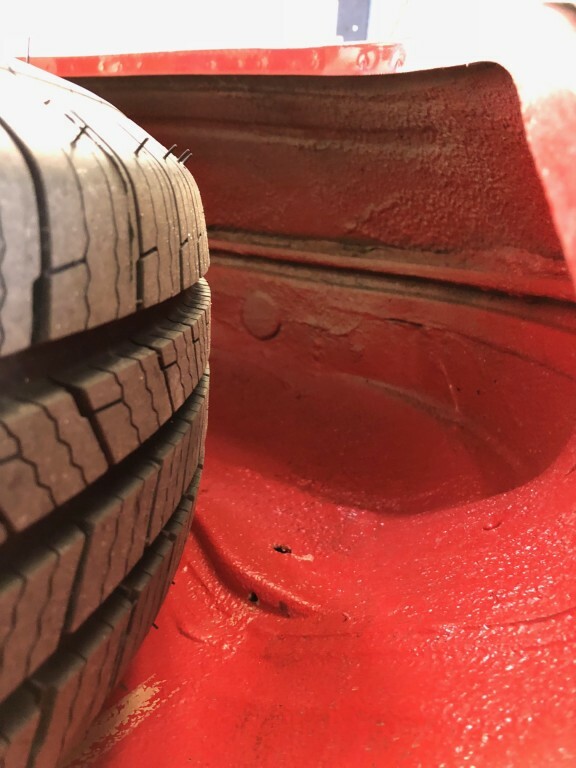 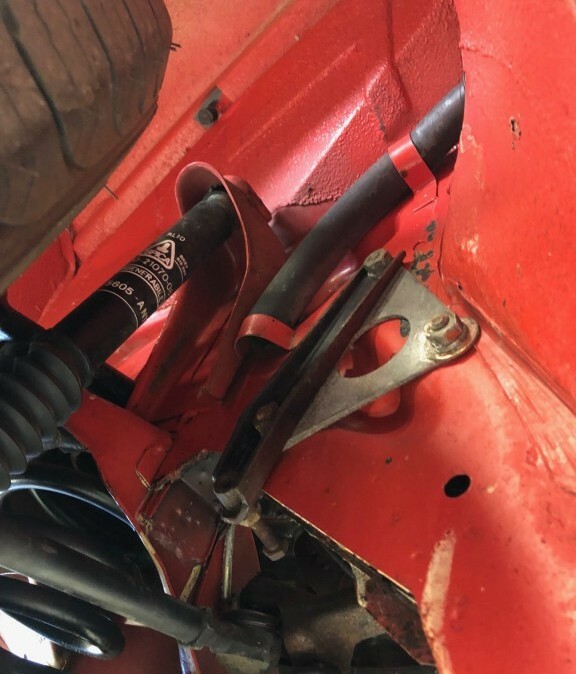 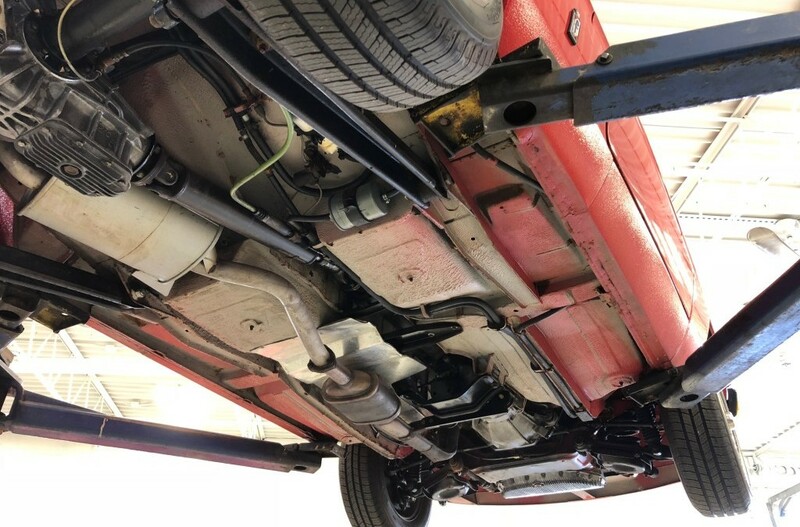 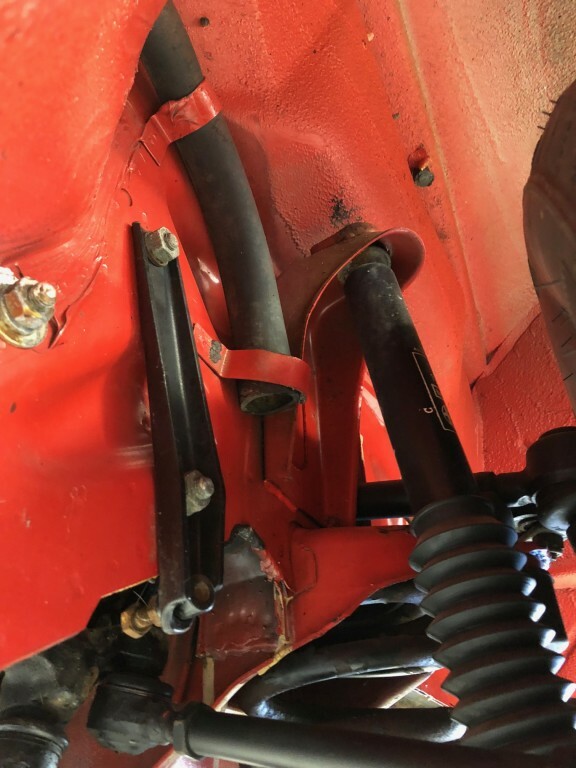 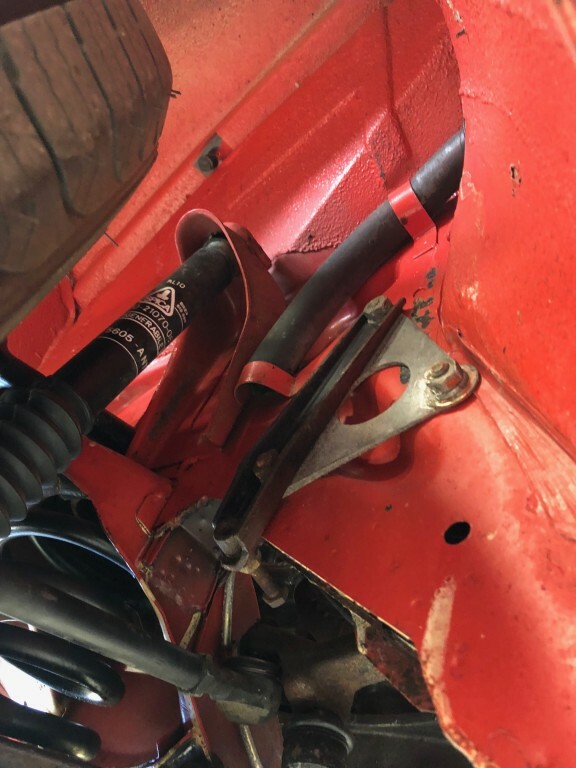 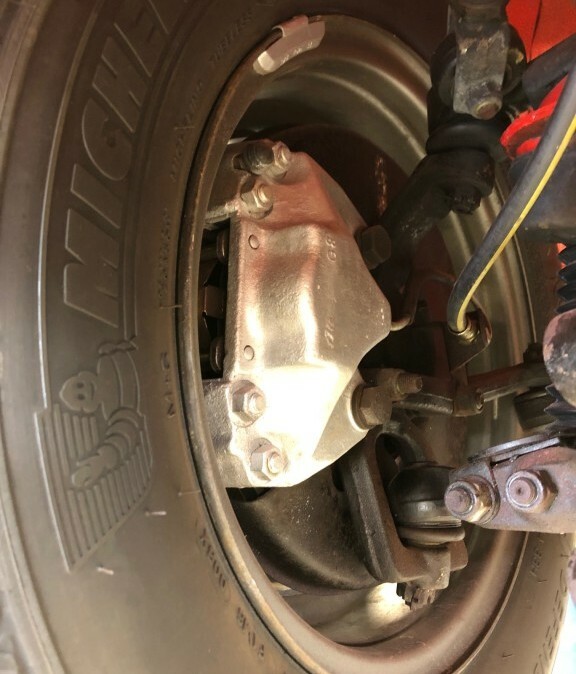 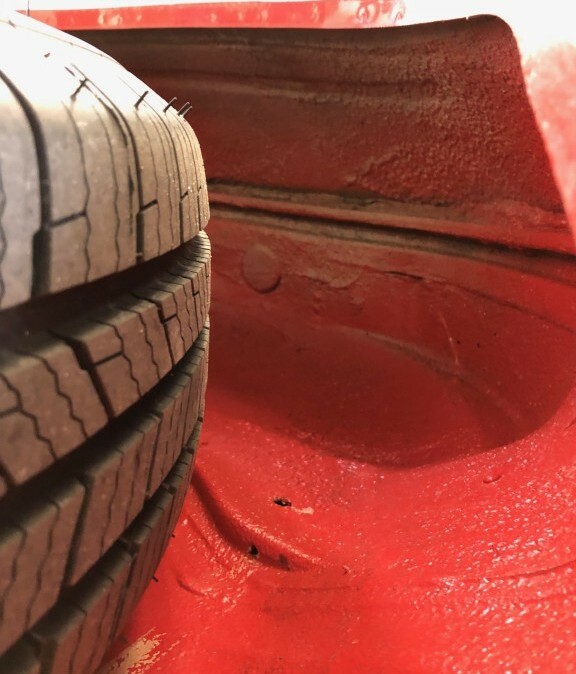 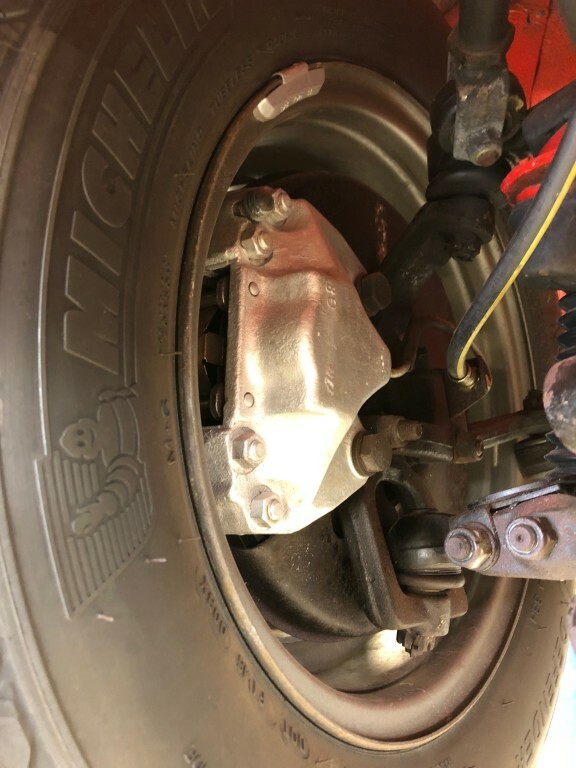 I fitted a new set of top-line Michelin tires, performed an alignment, machined the brake rotors, repacked the wheel bearings, flushed the brake and clutch hydraulics completely, changed all of the fluids, and tuned the car. It truly runs and drives like a new one with no issues, including no 2nd gear crunch! 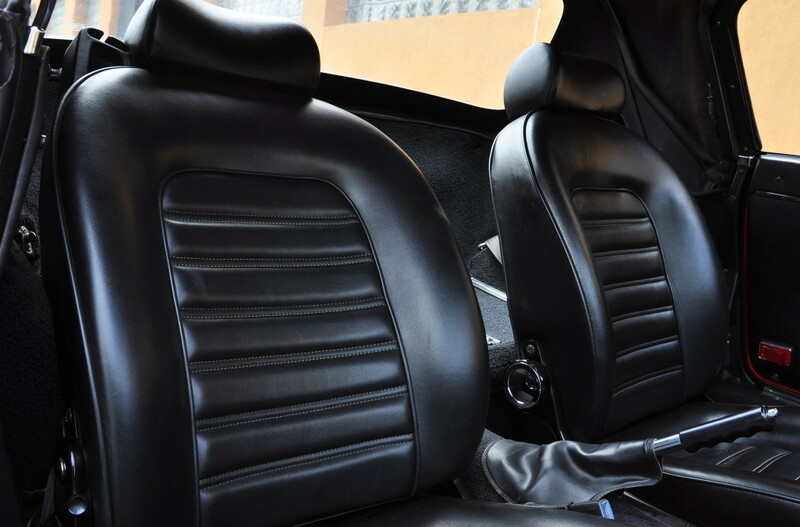 The car also has factory installed A/C which operates properly and cools quite well. 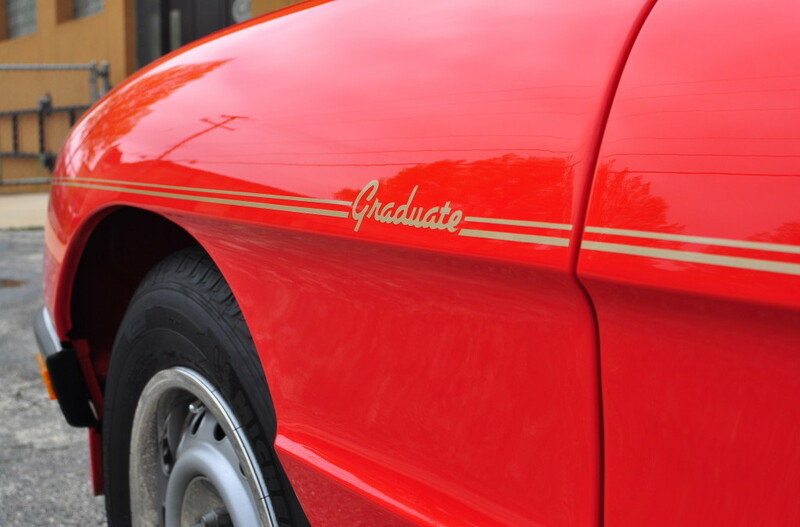 In summary this charming Graduate is unlikely to be duplicated and a no-excuses example that can be enjoyed for many years and many miles to come. And at this price point it could also prove impossible to find anything that could equal the quality or amount of enjoyment it offers- especially when you drop the top and listen to that famous Alfa twin-cam music serenading you from both the intake and exhaust as you attack your favorite country road!